Balestrand. 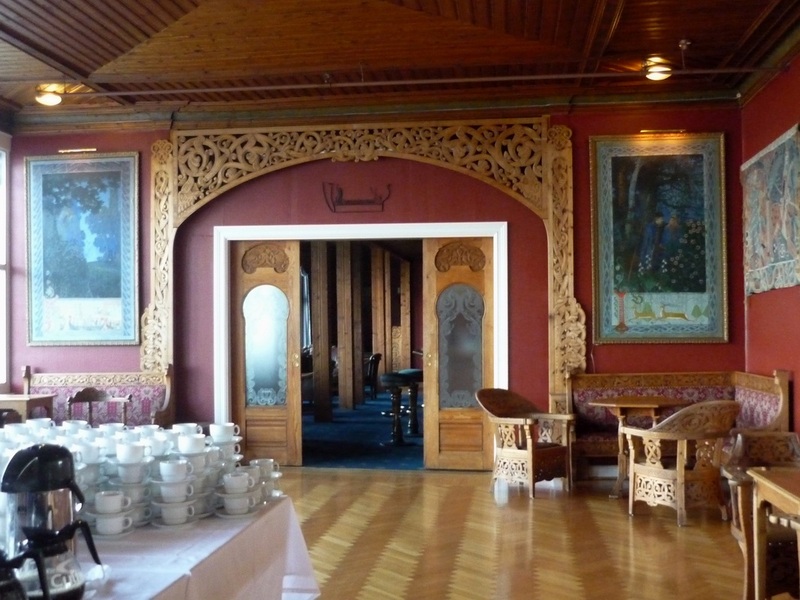 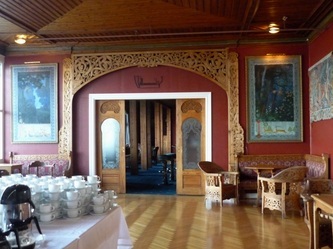 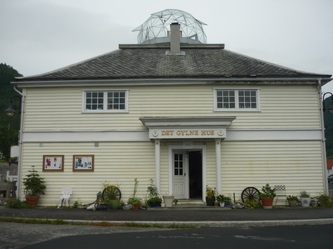 The Kviknes Hotel and the grand stuffing at the buffet awaits. 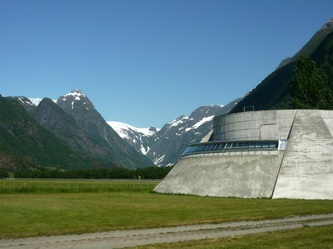 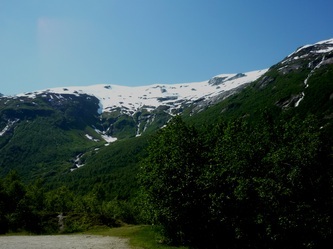 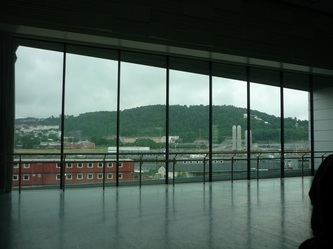 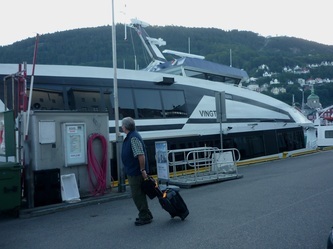 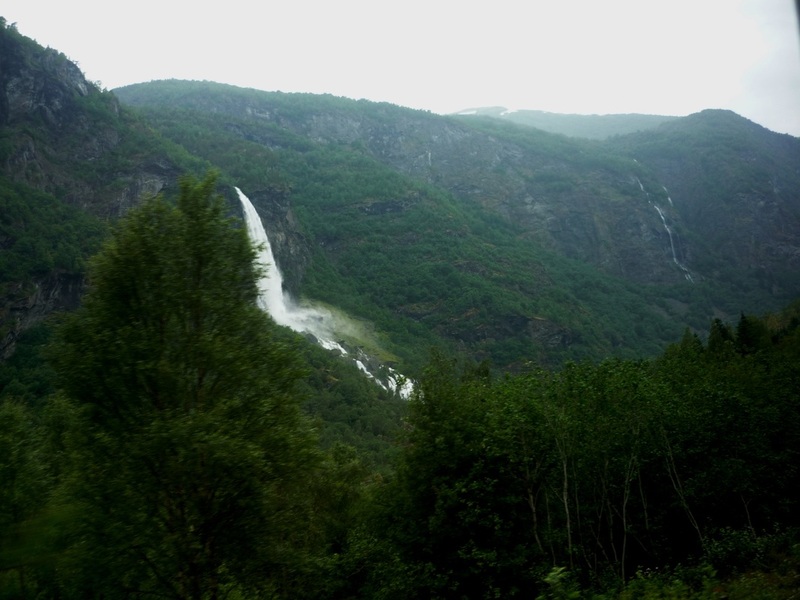 OK, this is the way to go to Oslo from Bergen if you want to see a bit of scenery. 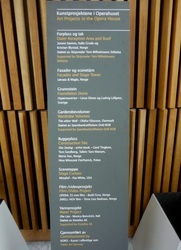 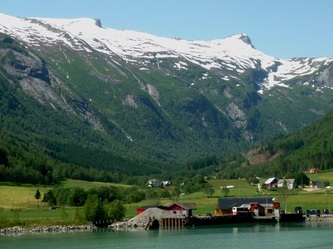 The cruise can be booked through the Norway in a Nutshell site Because AlteCocker had difficulty navigating the site, she had Five Stars of Scandinavia make the reservations for her. 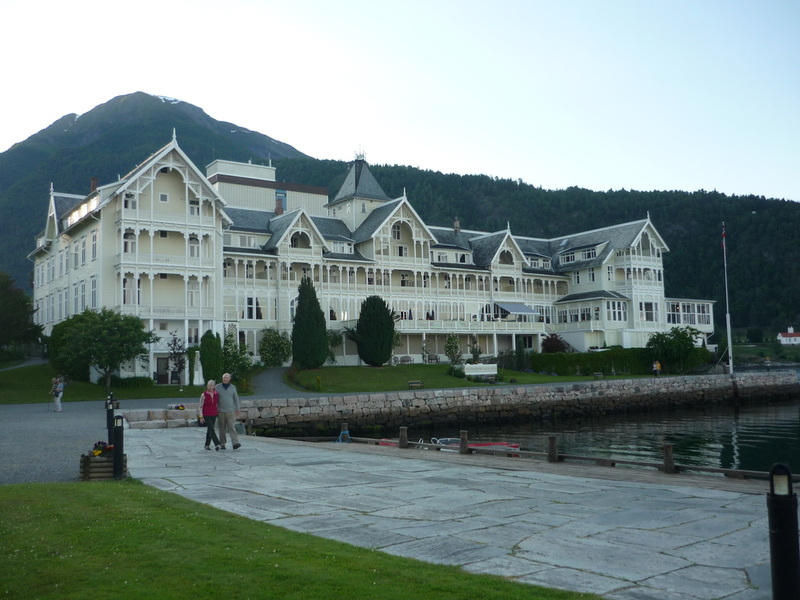 They handled the hotel in Bergen, the ferry/train journey and an overnight (and enormous buffet) at the Kviknes Hotel in Balestrand. AlteCocker stayed in the newer section of the Kviknes because it was cheaper than the older section. 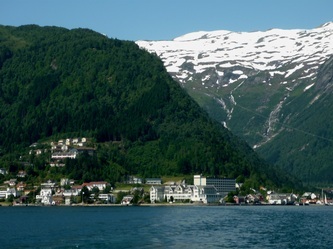 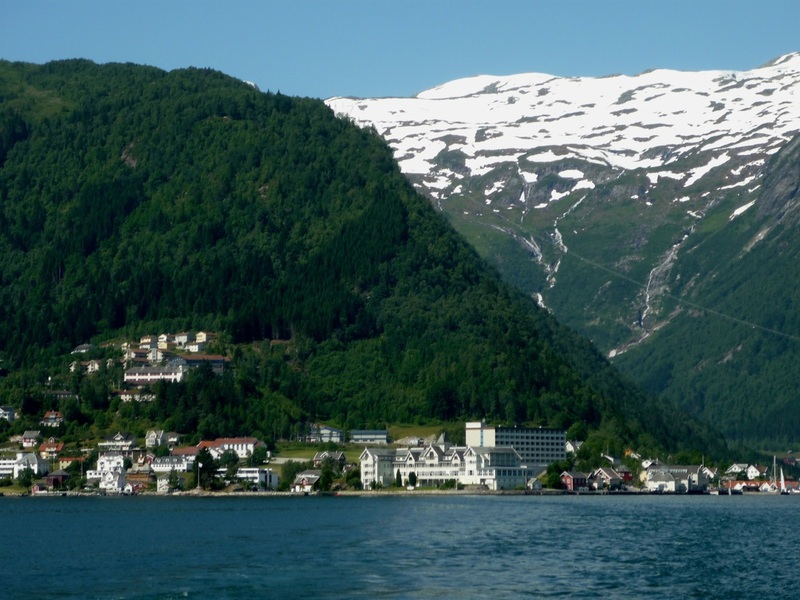 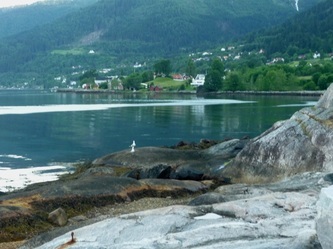 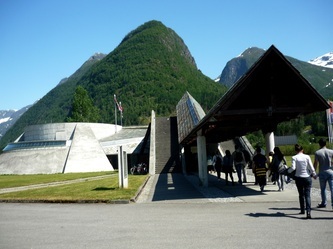 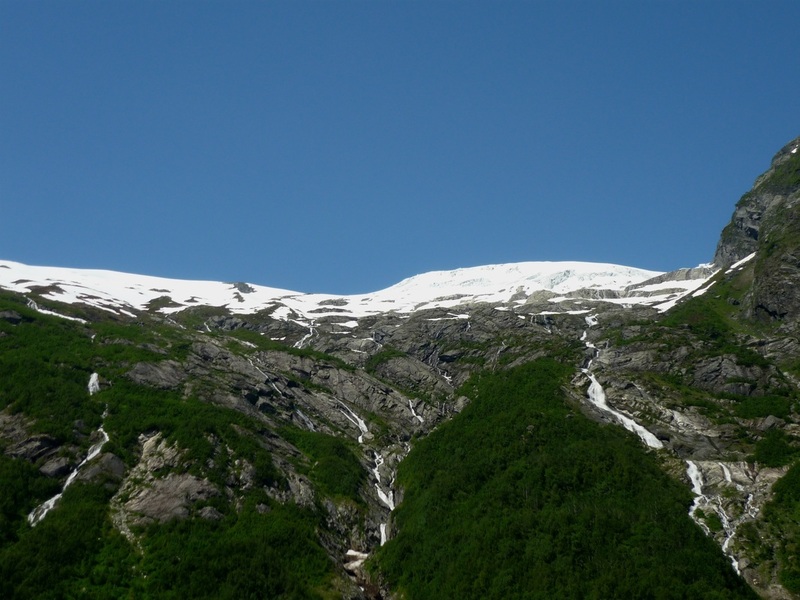 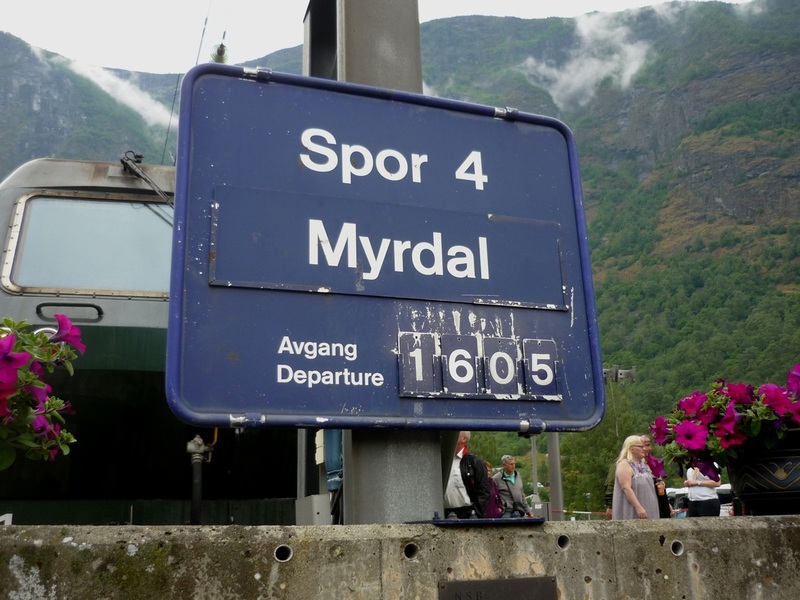 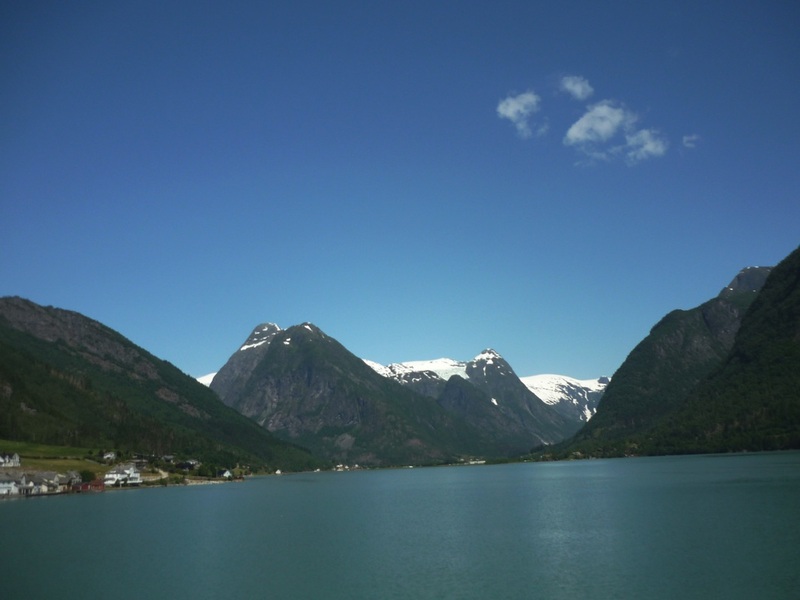 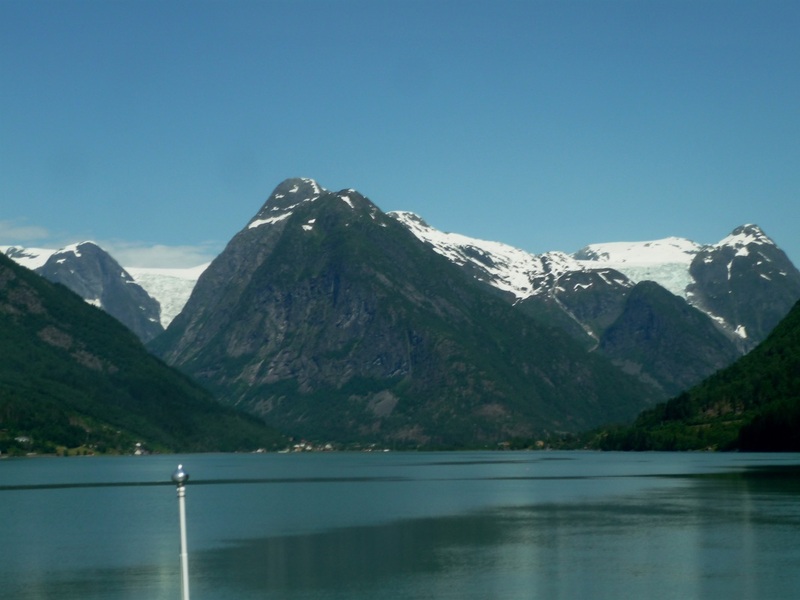 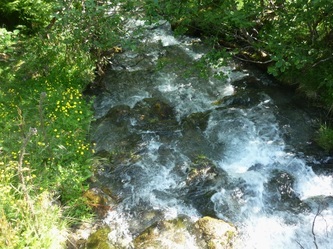 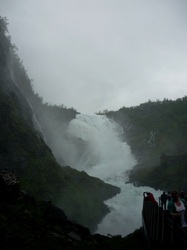 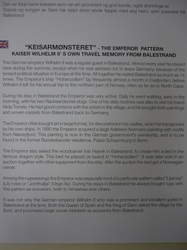 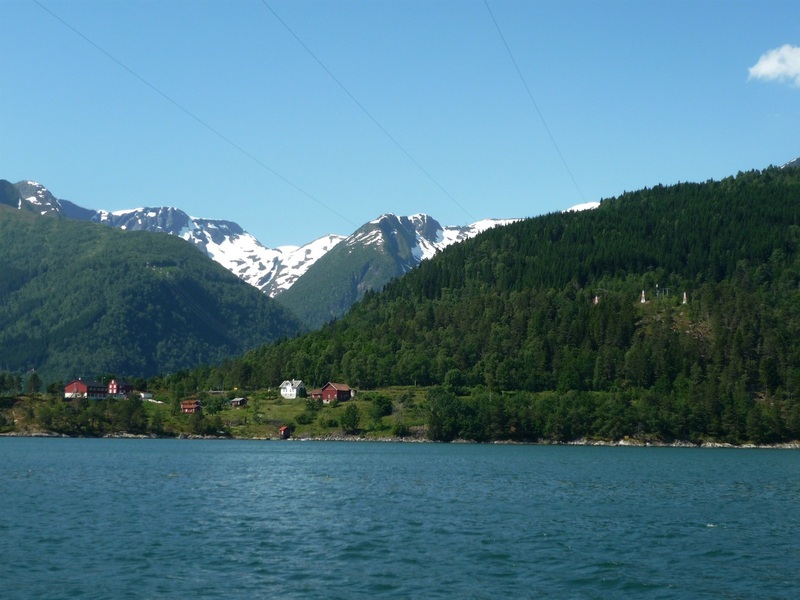 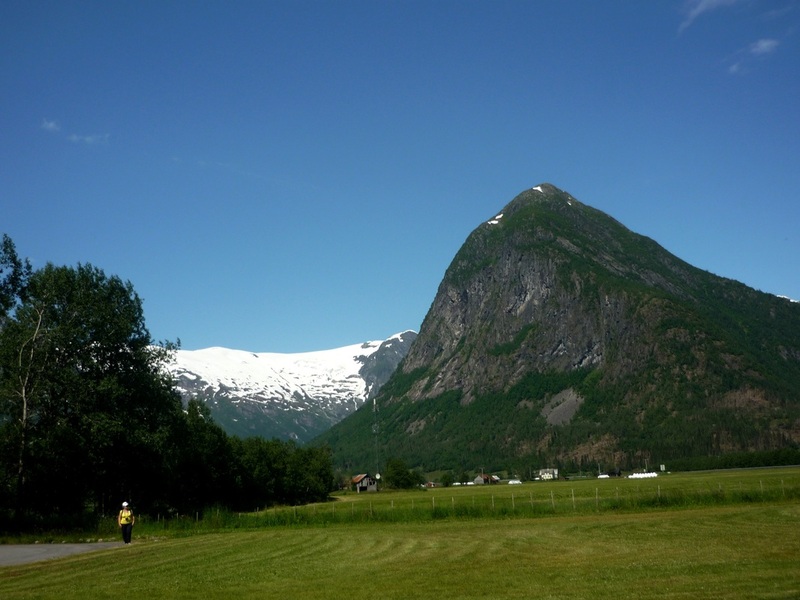 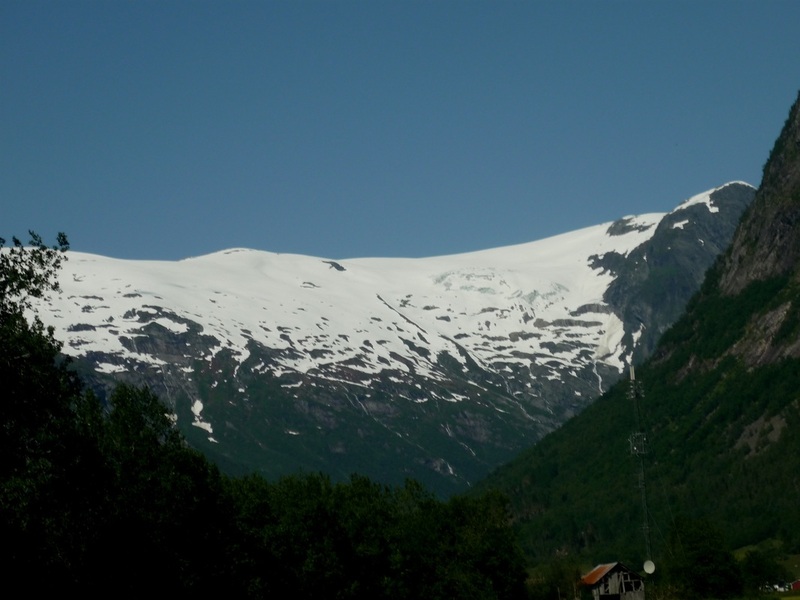 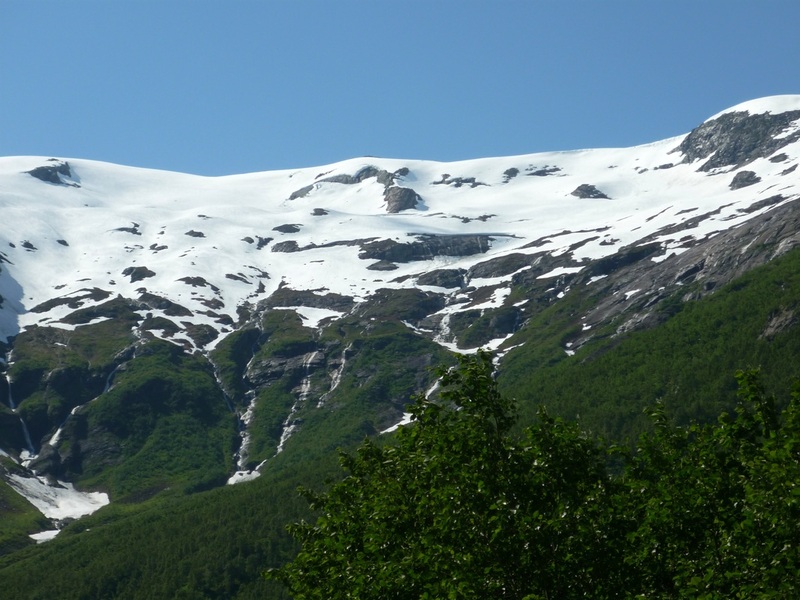 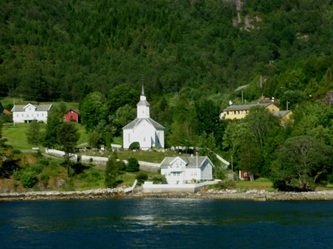 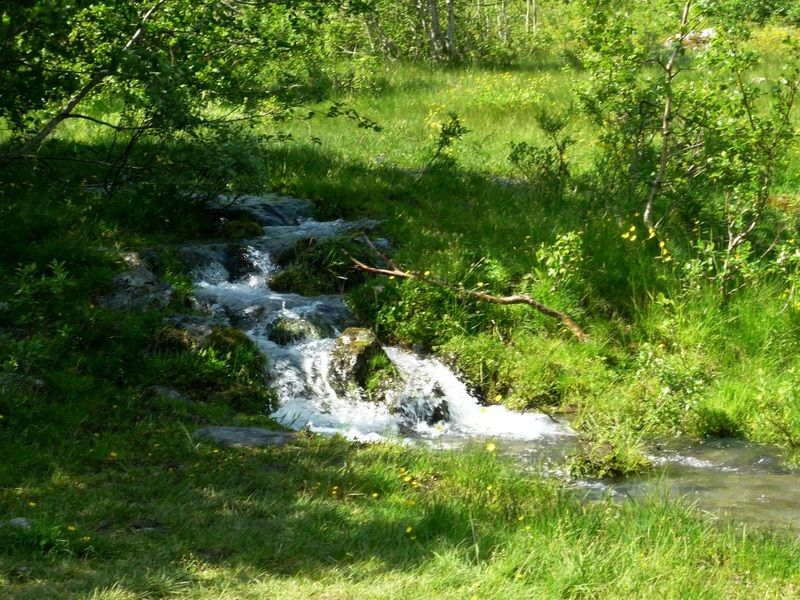 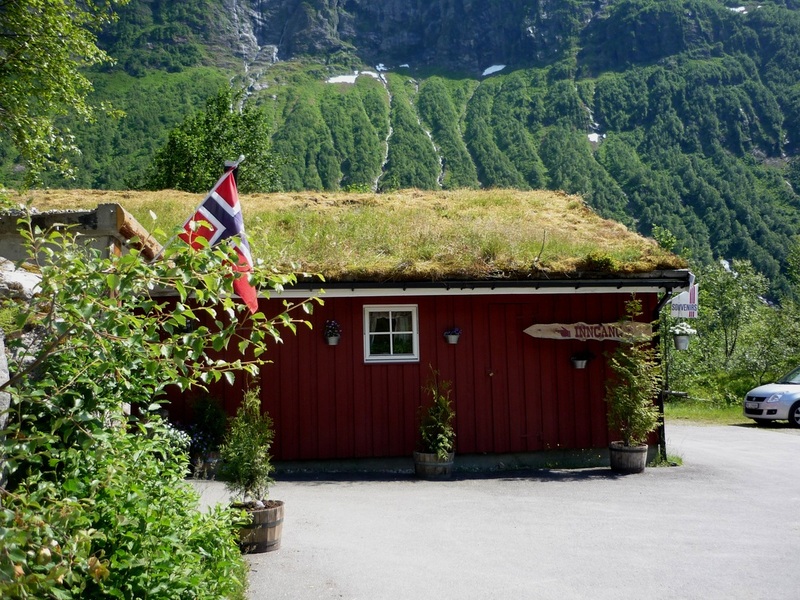 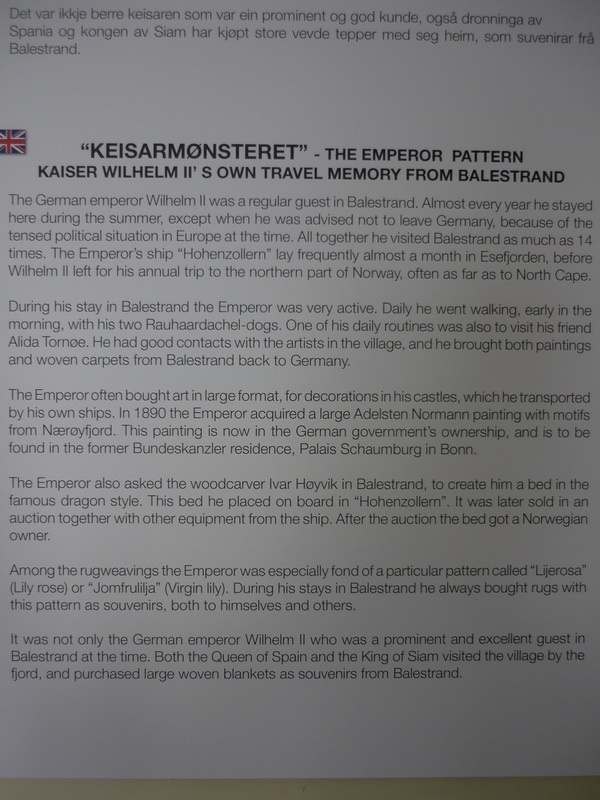 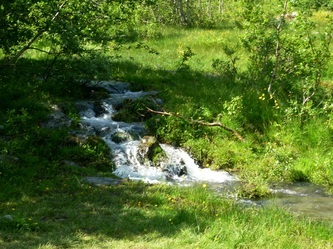 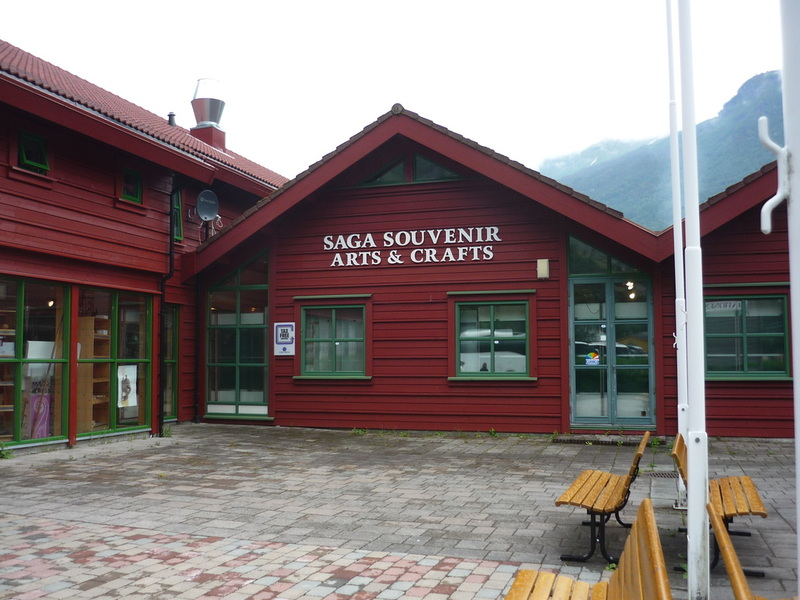 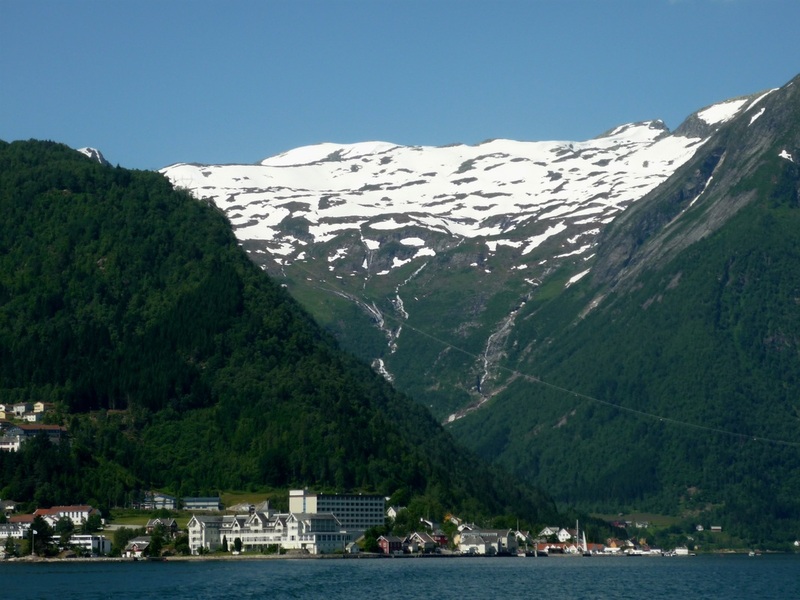 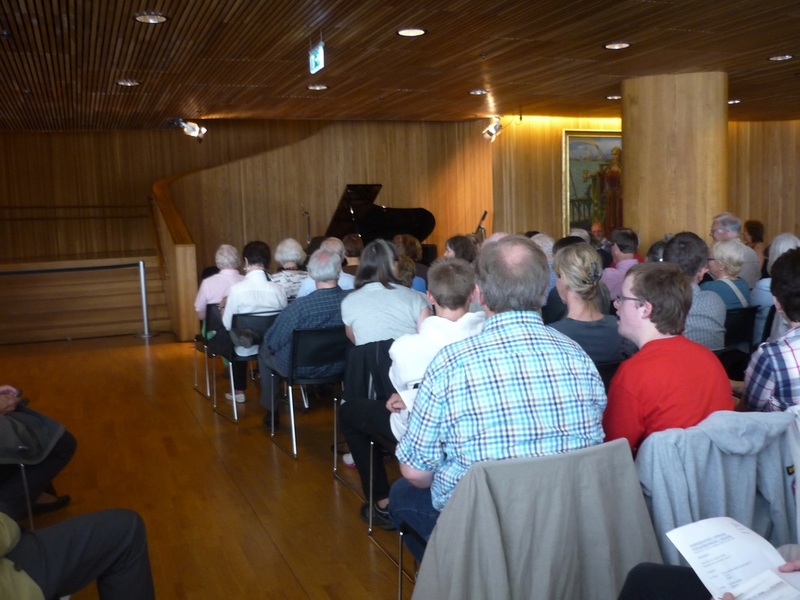 Should she find herself in Balestrand again, however, she would stay at a cheaper hotel. 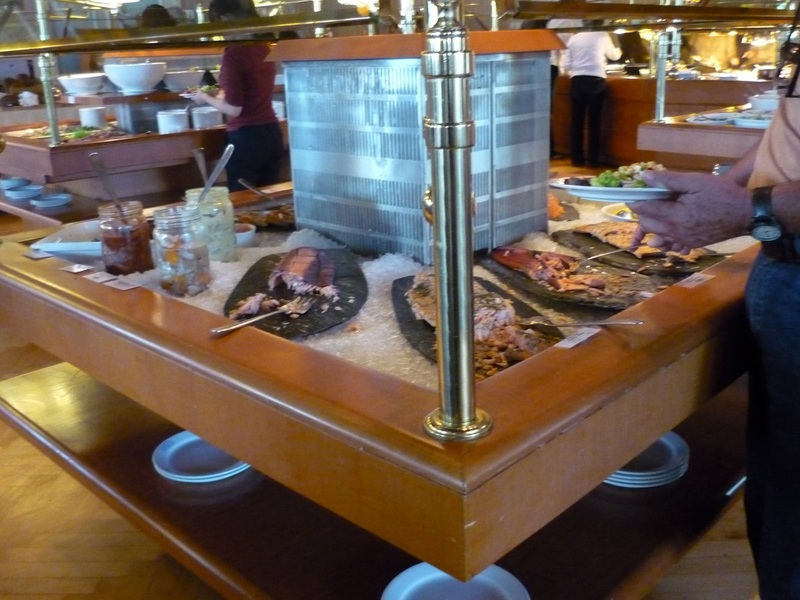 There is no problem going to stuff yourself silly at the Kviknes buffet if you are in a cheaper hotel. 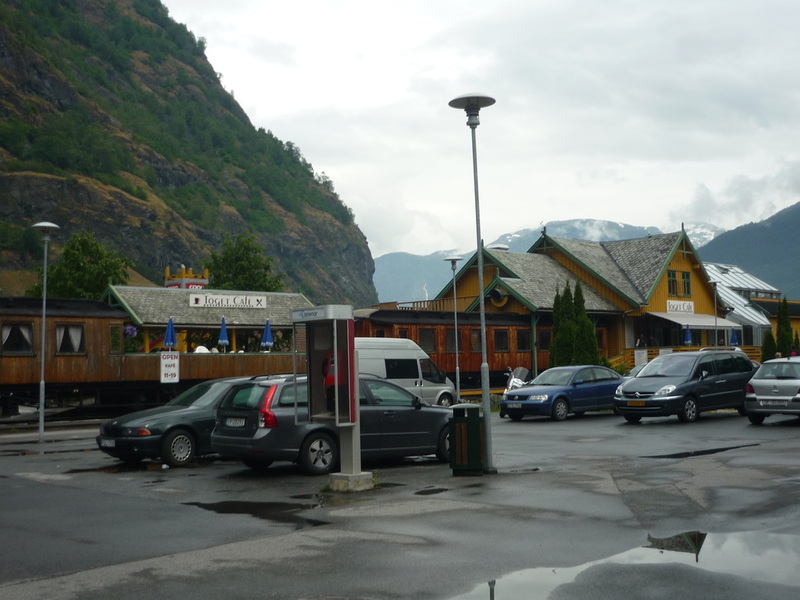 They are glad to take your cash (and it is more than spare change--about $100). 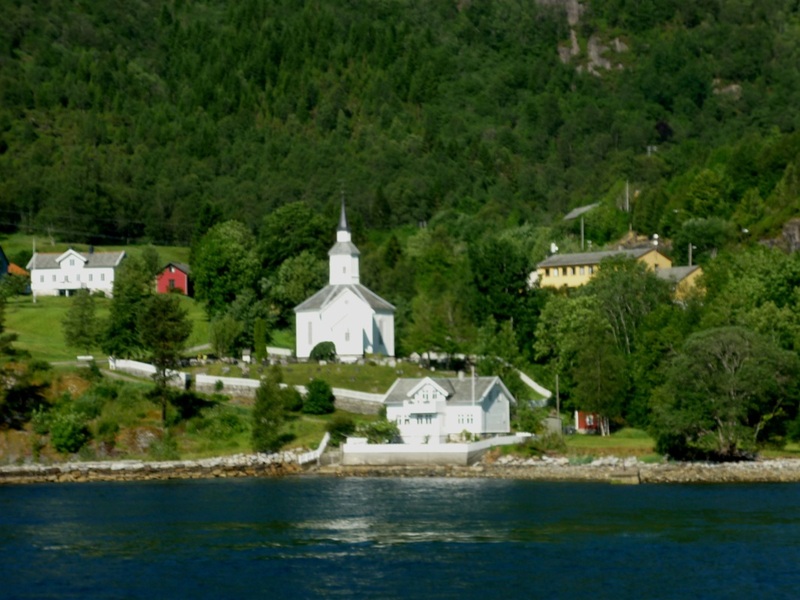 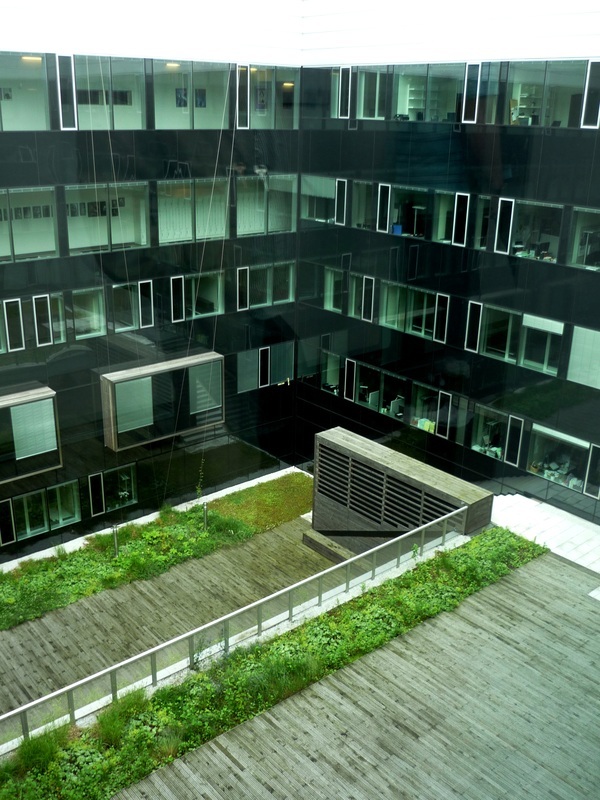 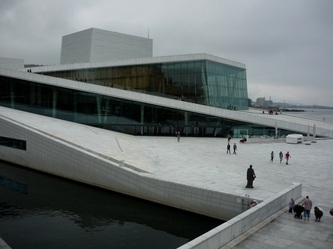 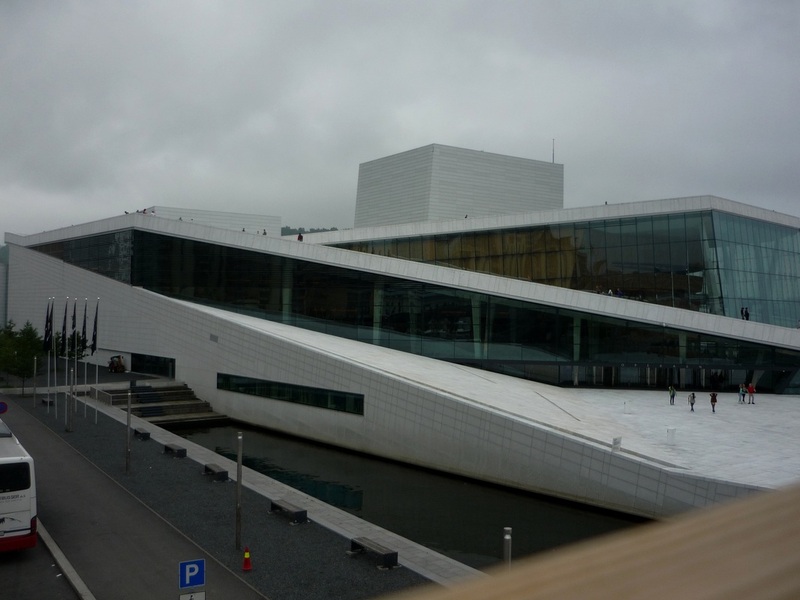 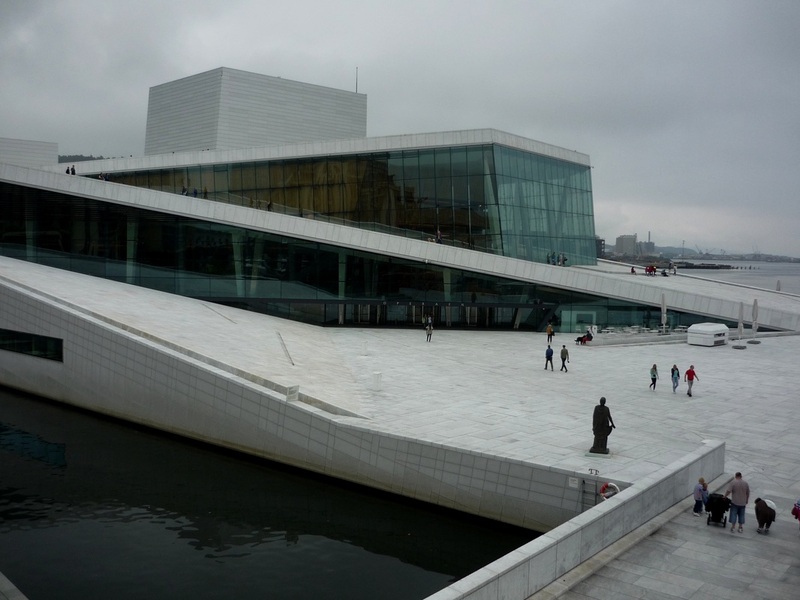 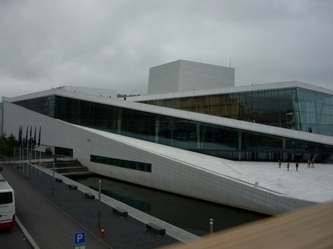 Norway is not cheap, but compared to Australia, it's a veritable bargain. AlteCocker pities anyone who stayed 2 nights and had to do that buffet twice. 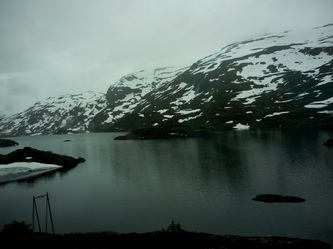 Once it's wonderful. Twice you start counting the calories. 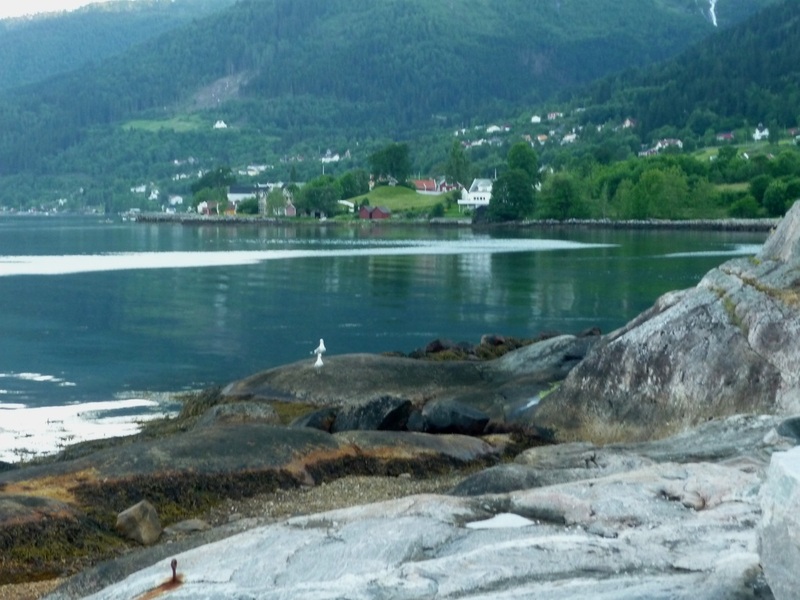 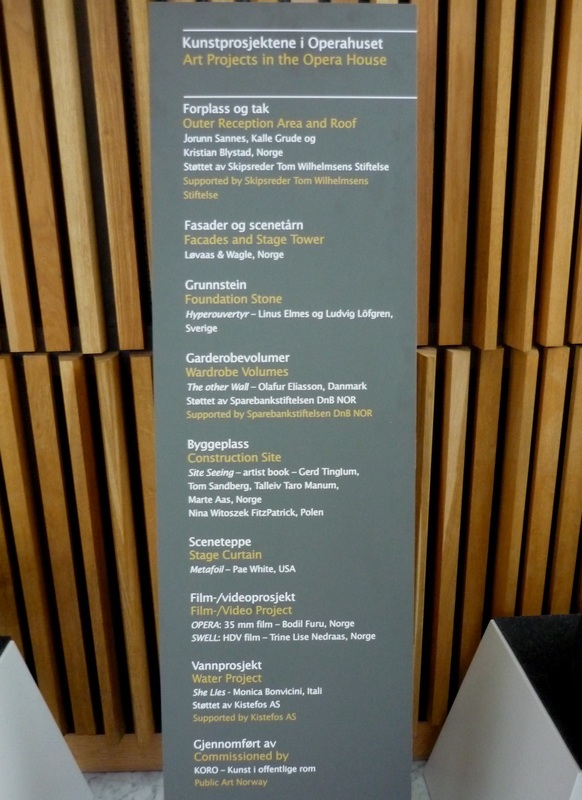 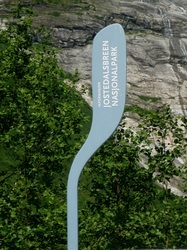 There are not a lot of options for eating in Balestrand, but there are some for those who do not fancy the stuffing. 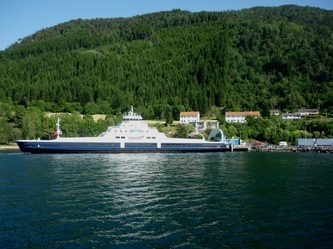 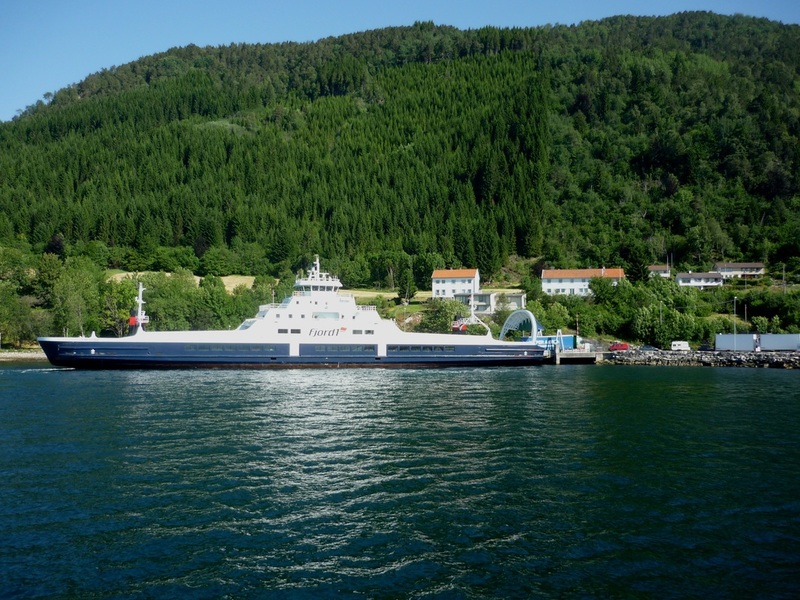 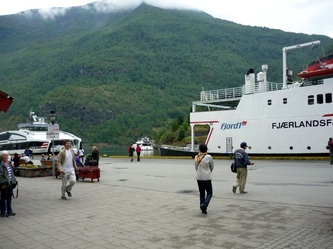 The ferry boat is coordinated with a boat that goes to the glacier at Jostedal and the hotels will pick up your baggage as you get off the ferry to make the transfer a snap--and to give yourself something to do before the stuffing. If AlteCocker's aging brain remembers correctly the ferry was about $100. 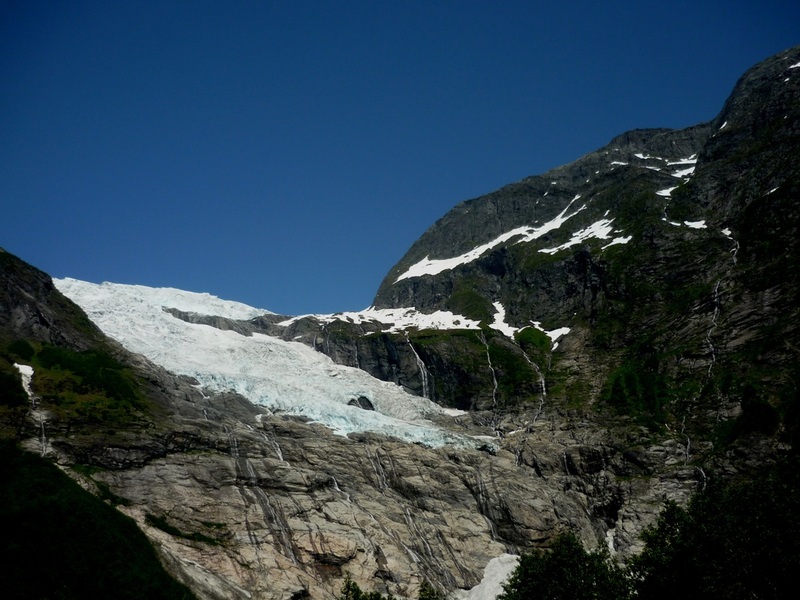 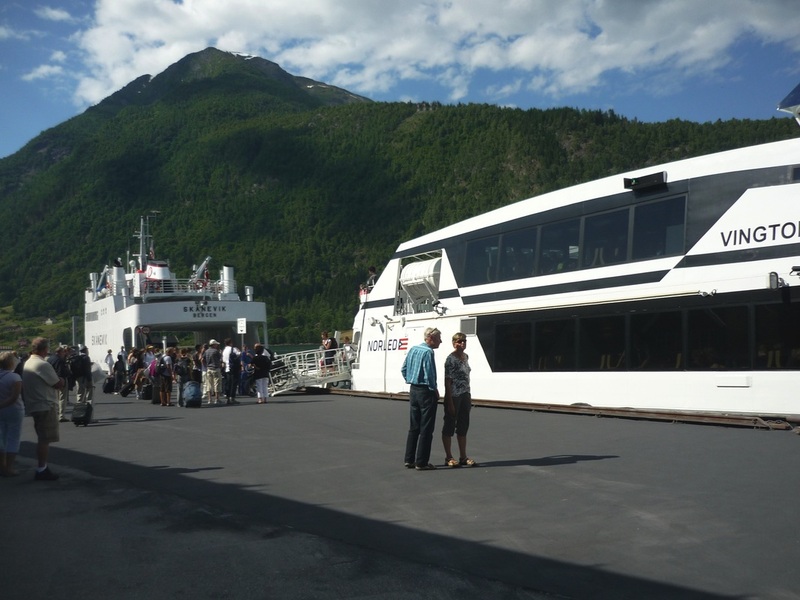 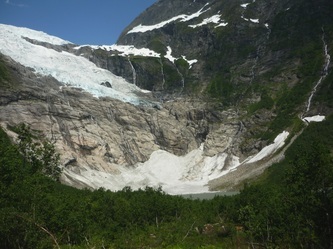 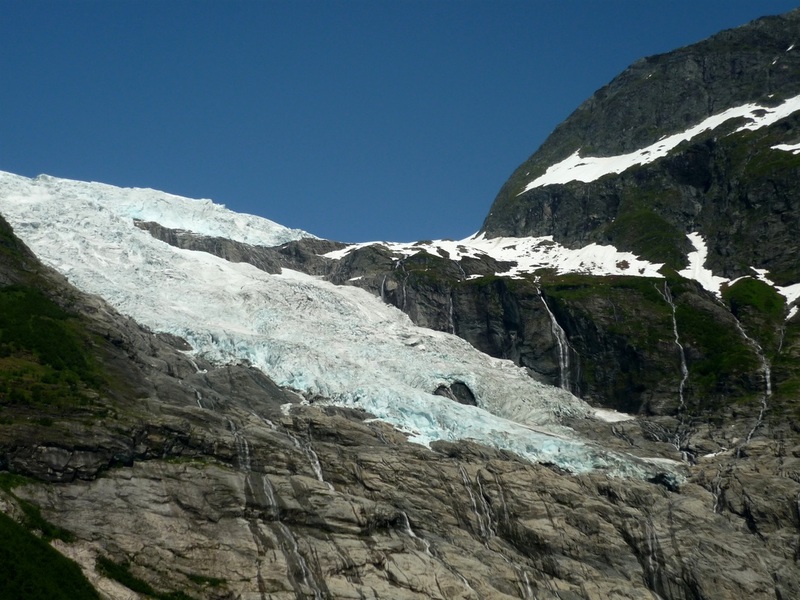 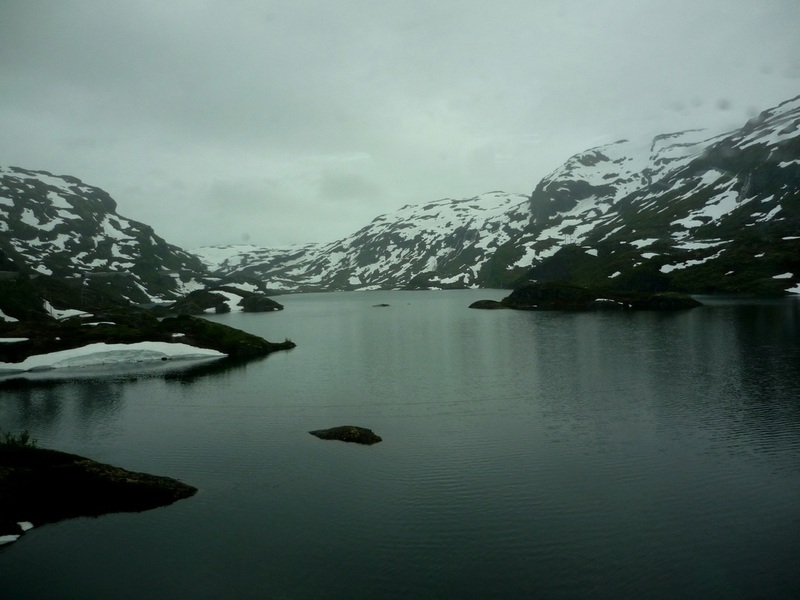 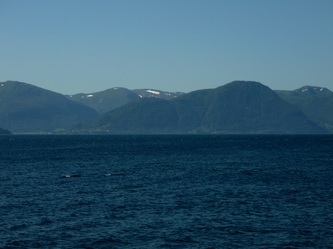 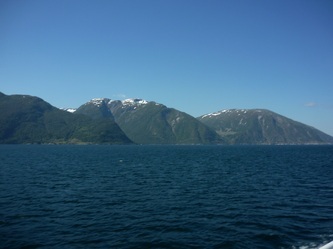 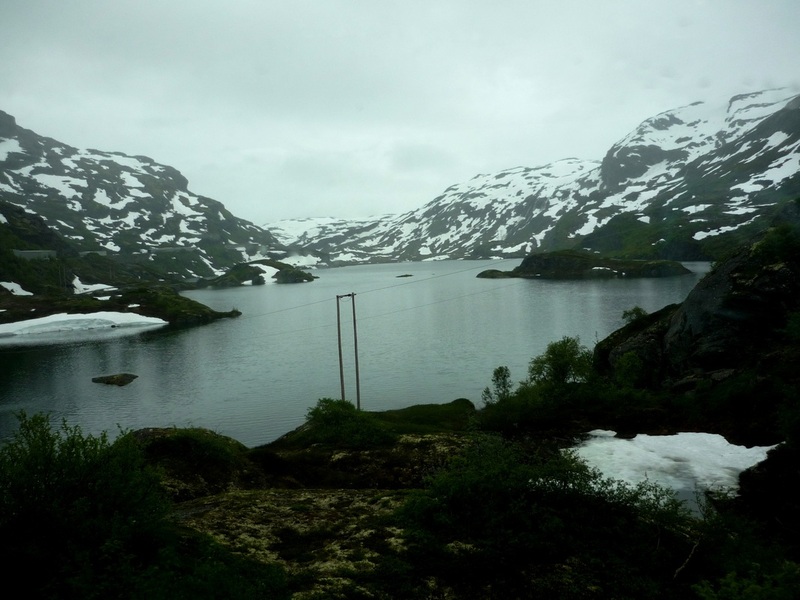 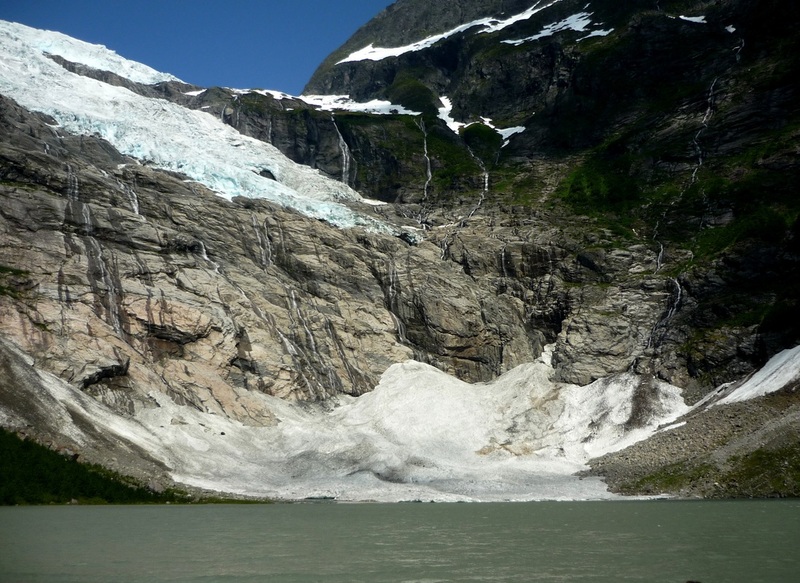 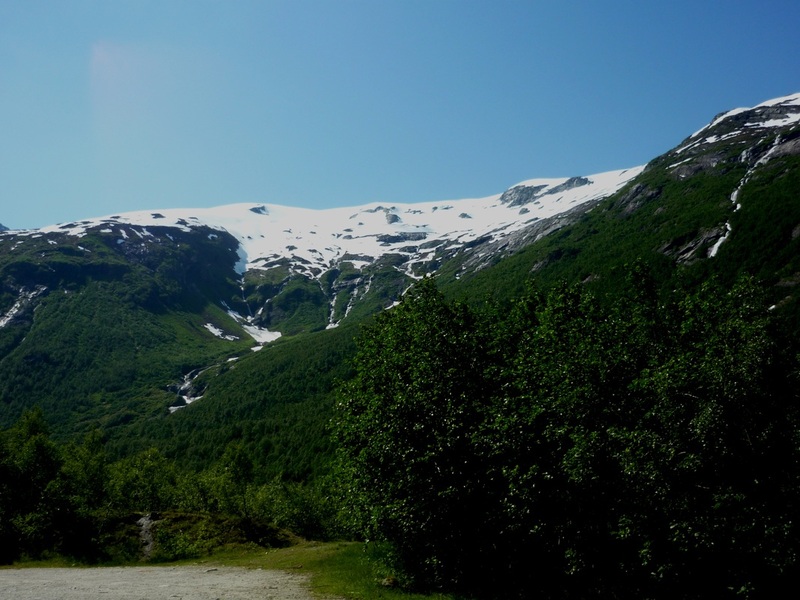 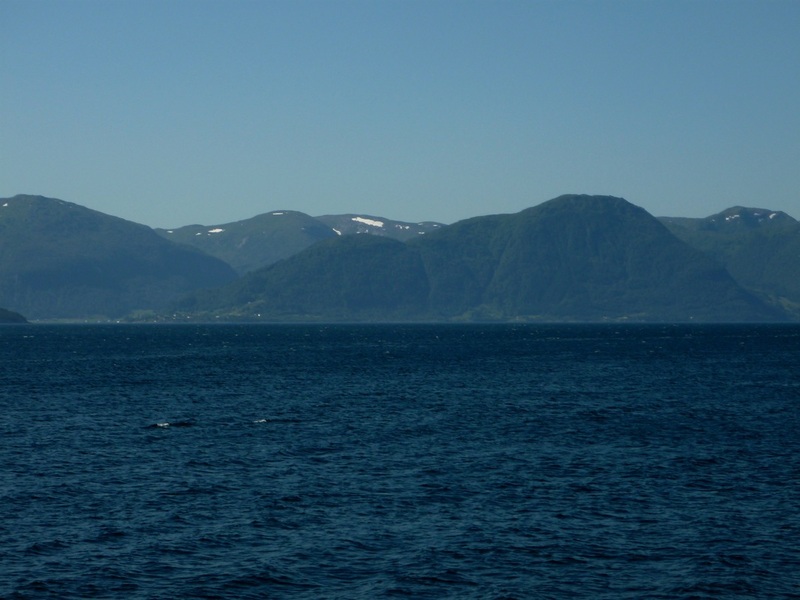 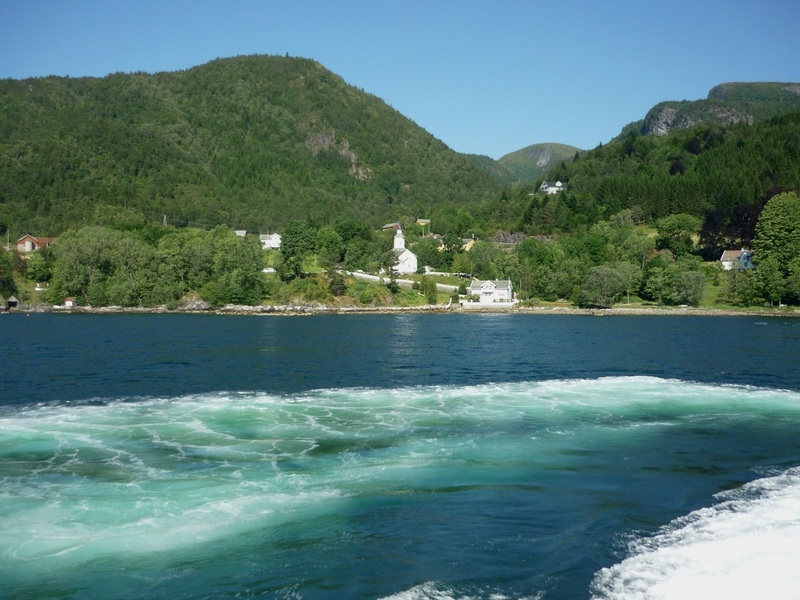 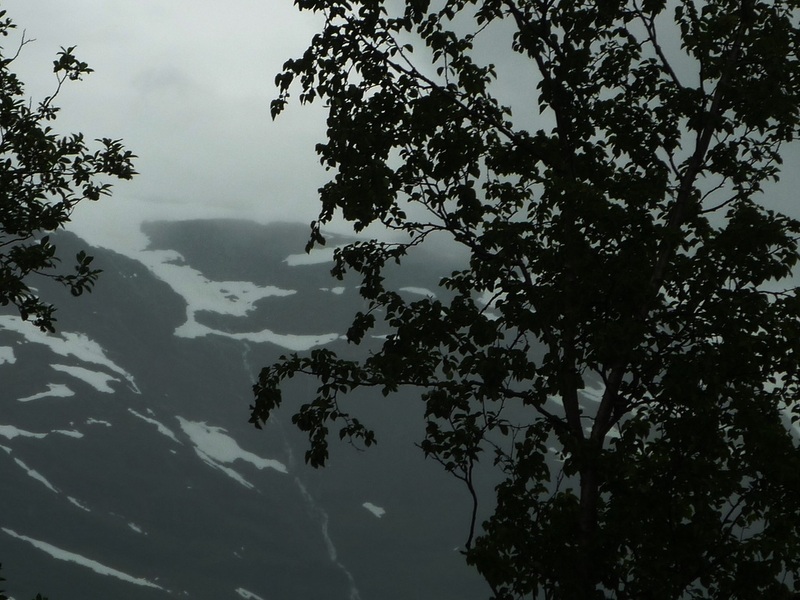 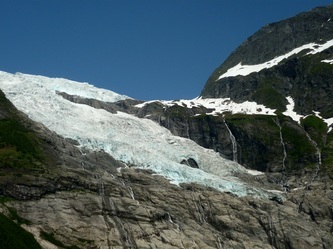 The journey was 3-4 hours long and the ferry is the only way to get from Balestrand to the glacier. 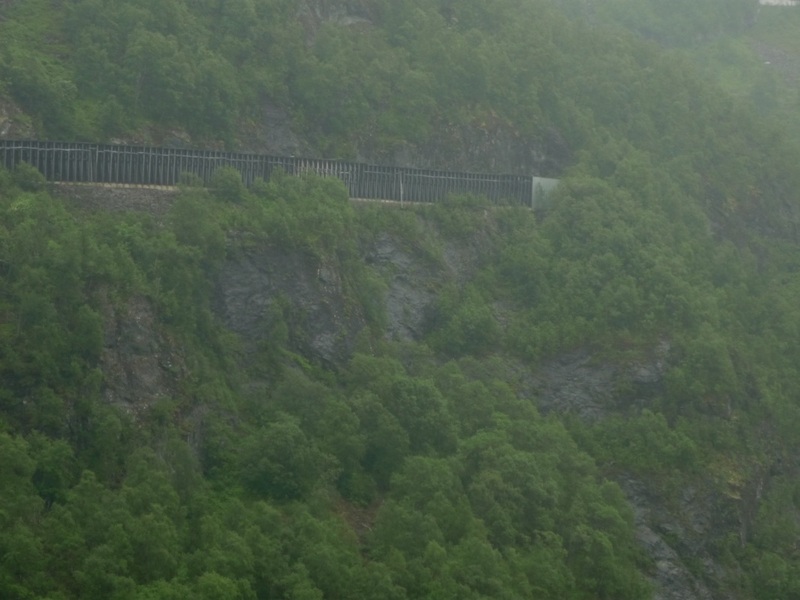 There may be a way by car, but AlteCocker did not have one so the point was moot. 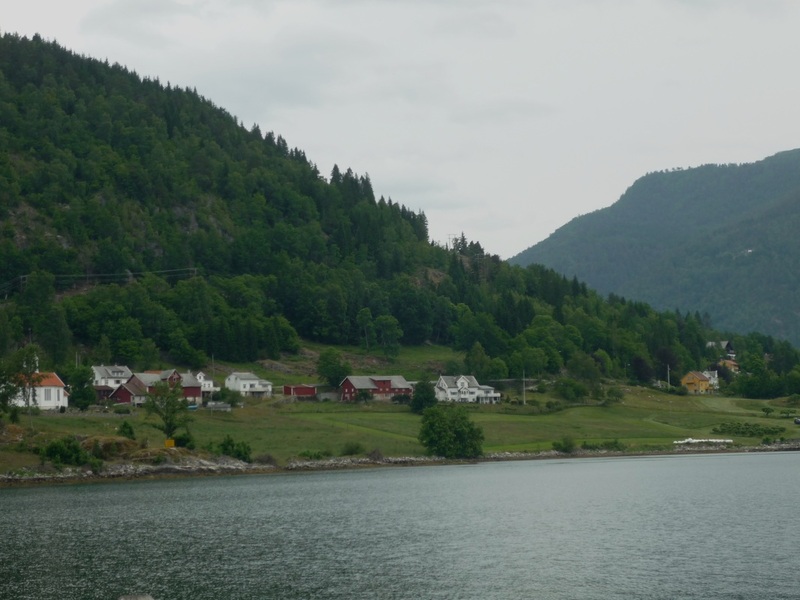 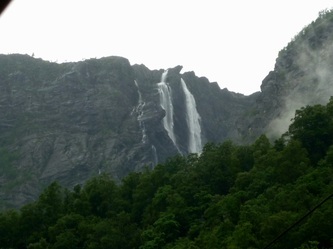 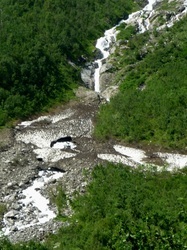 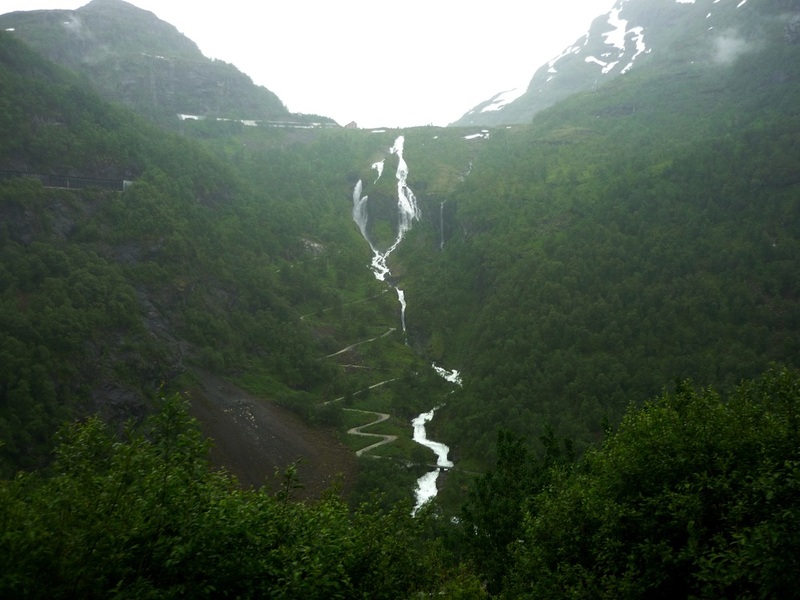 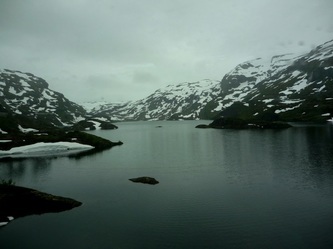 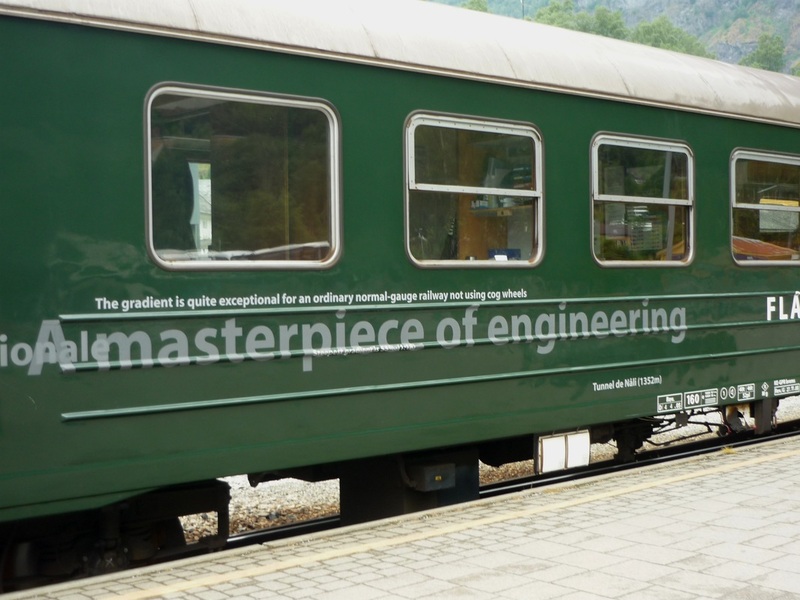 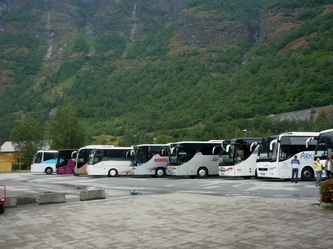 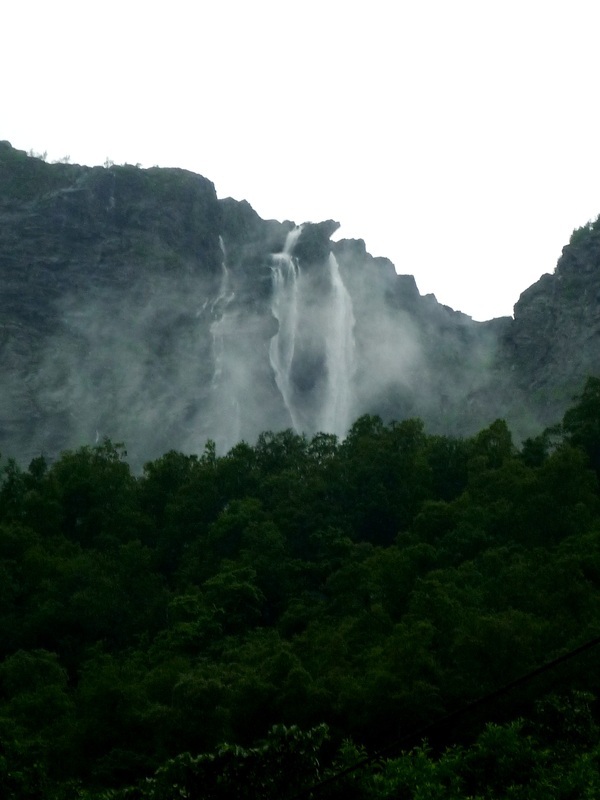 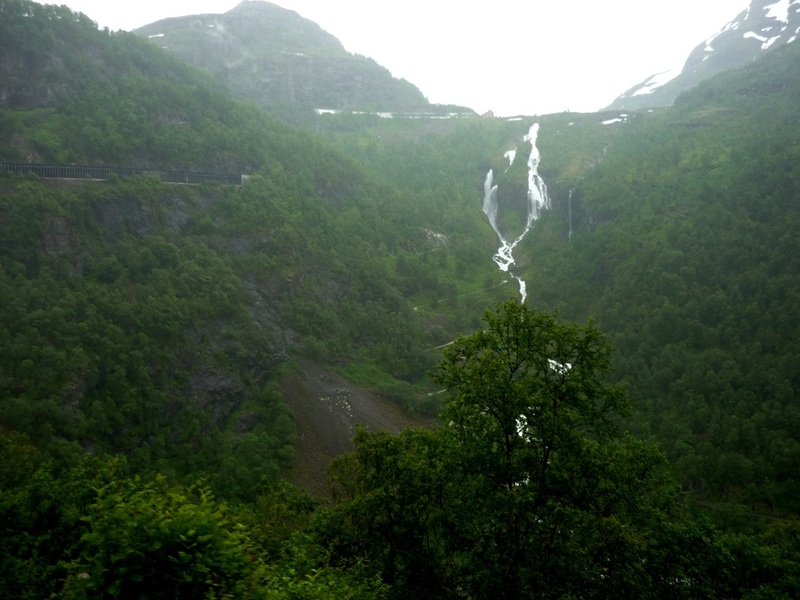 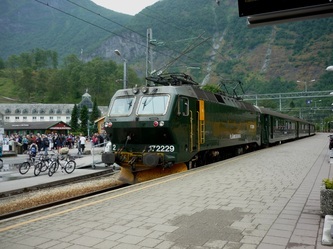 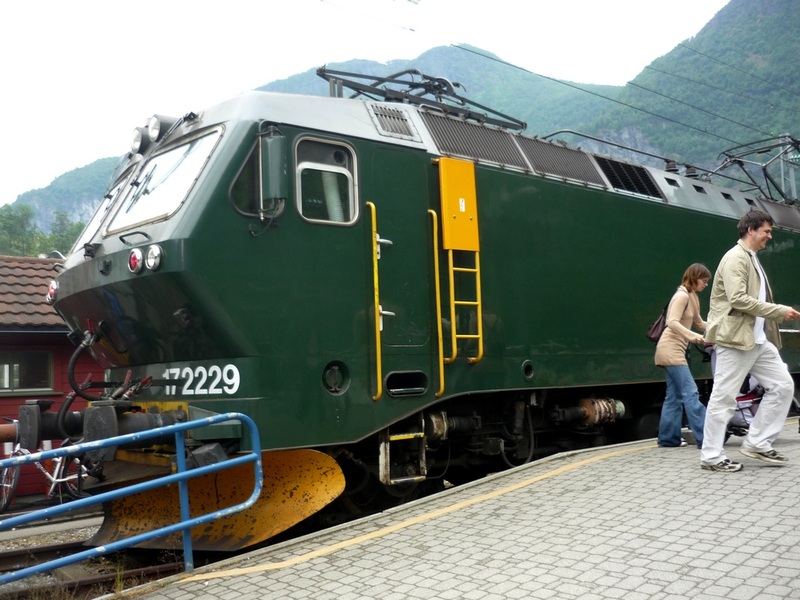 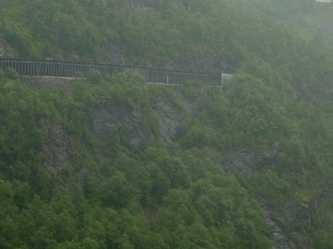 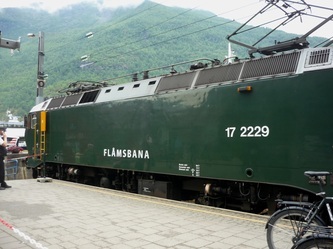 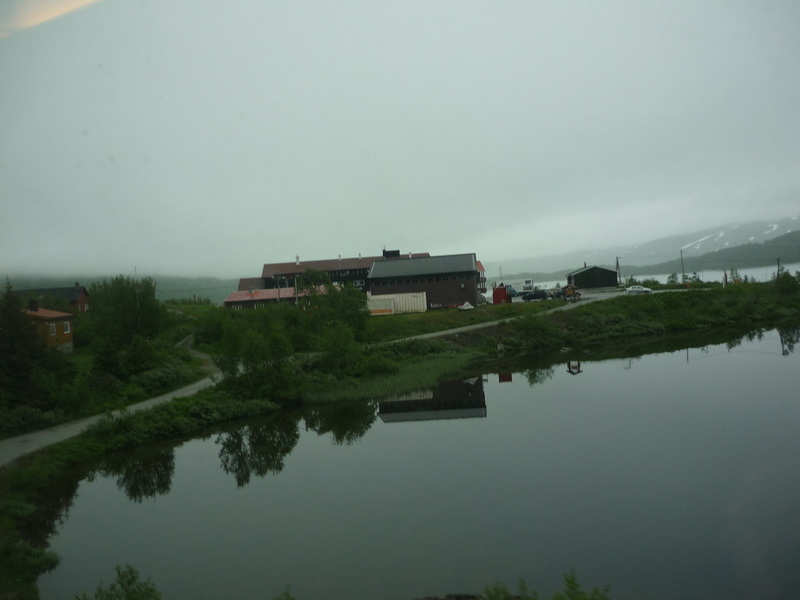 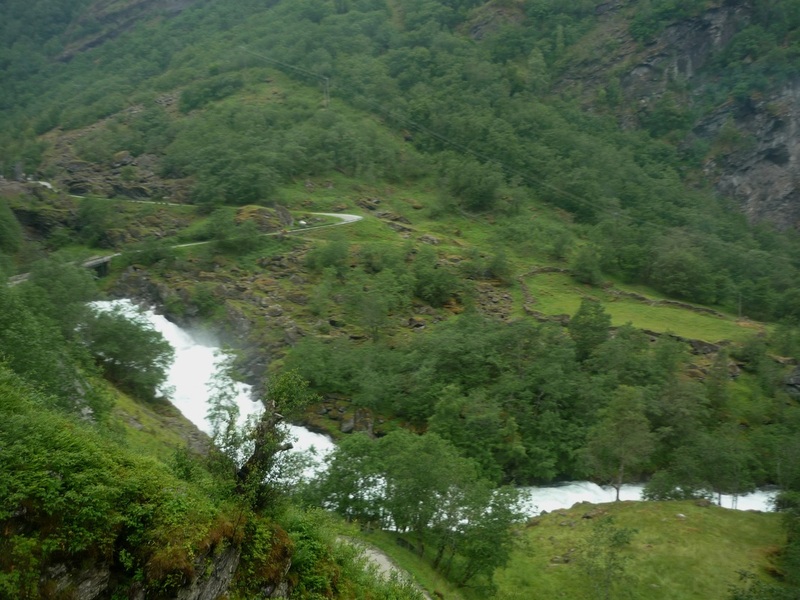 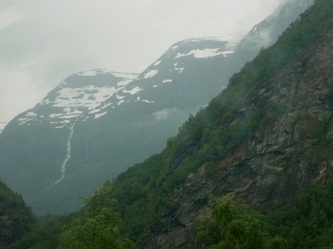 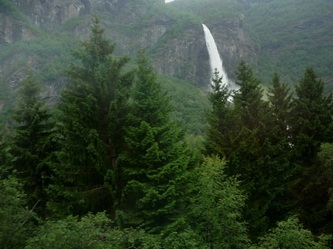 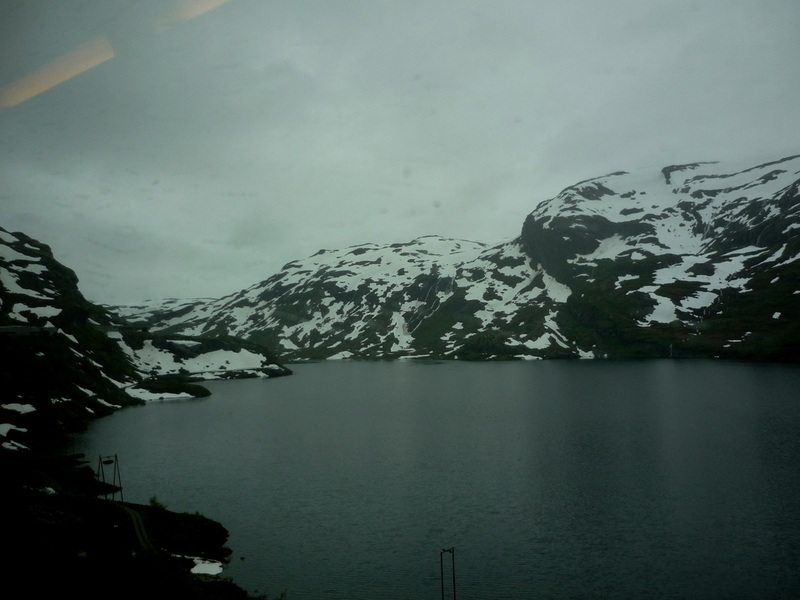 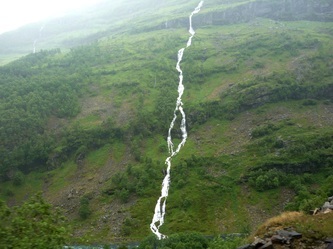 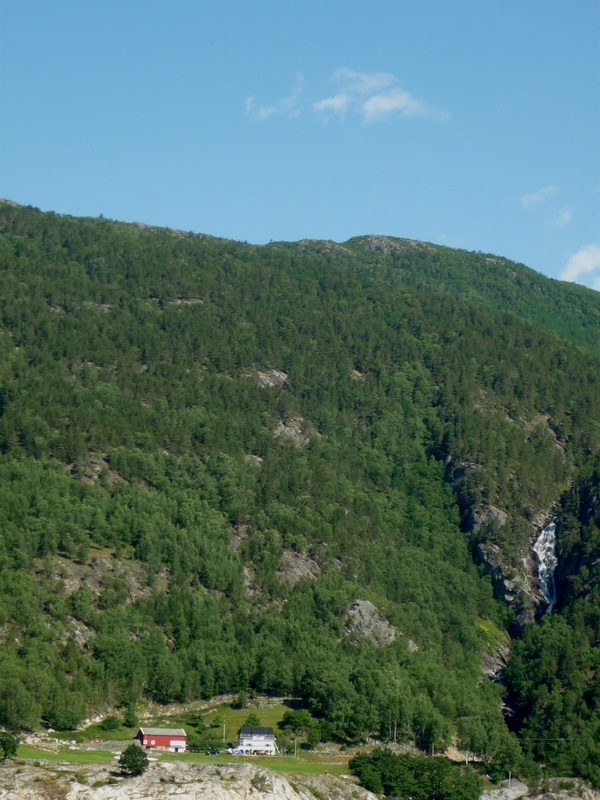 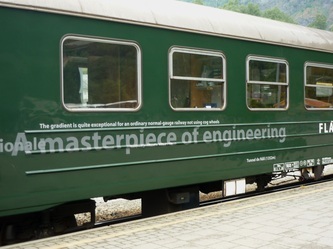 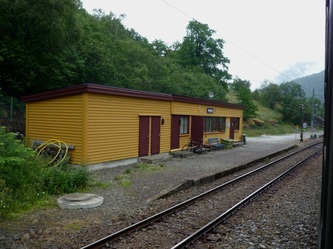 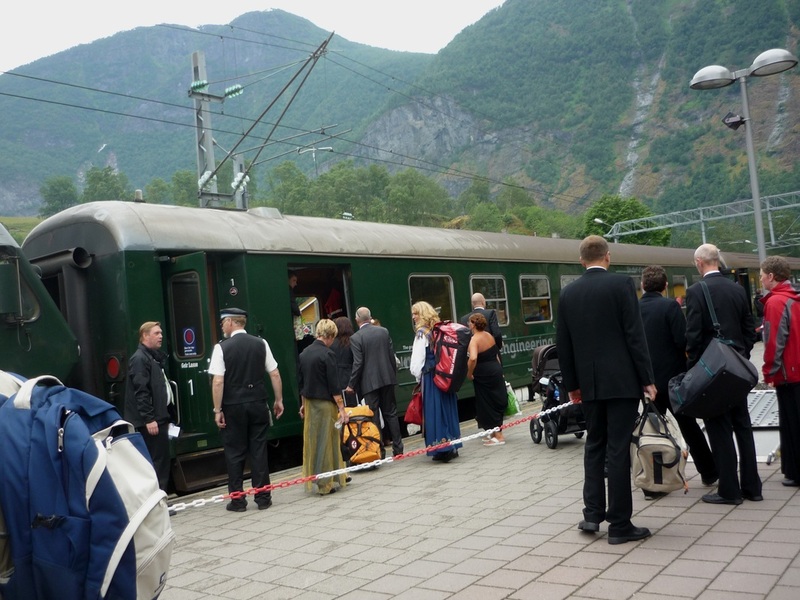 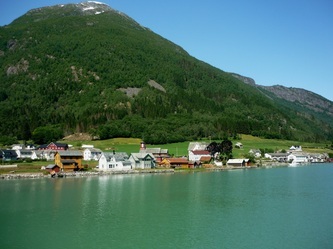 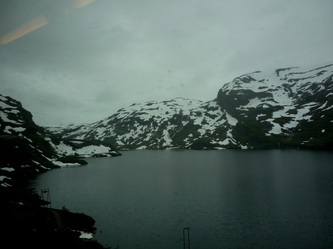 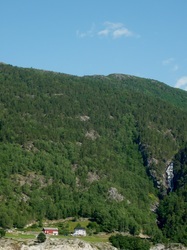 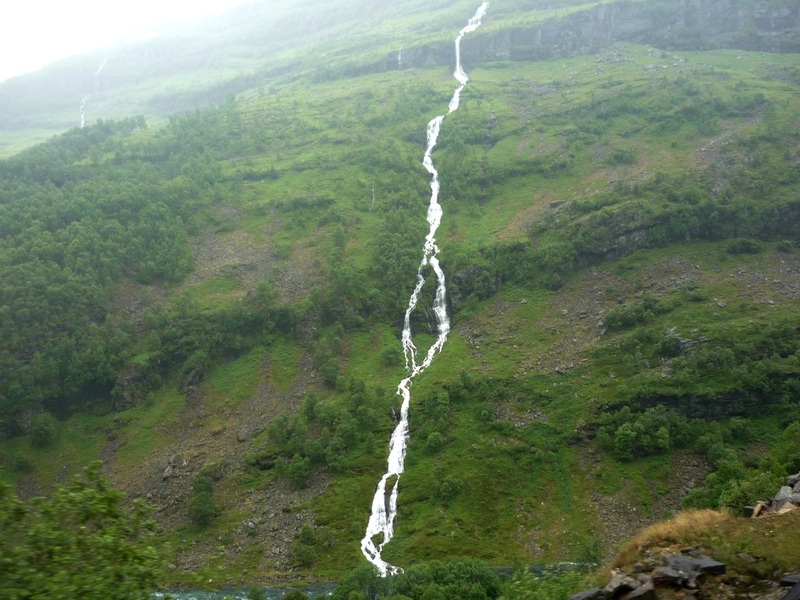 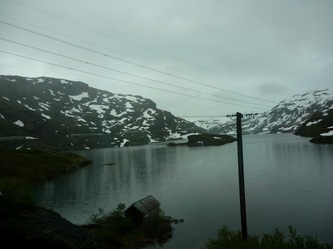 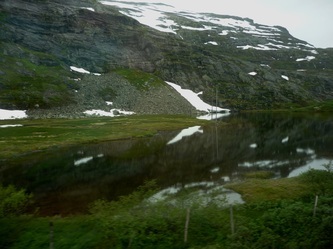 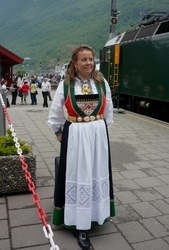 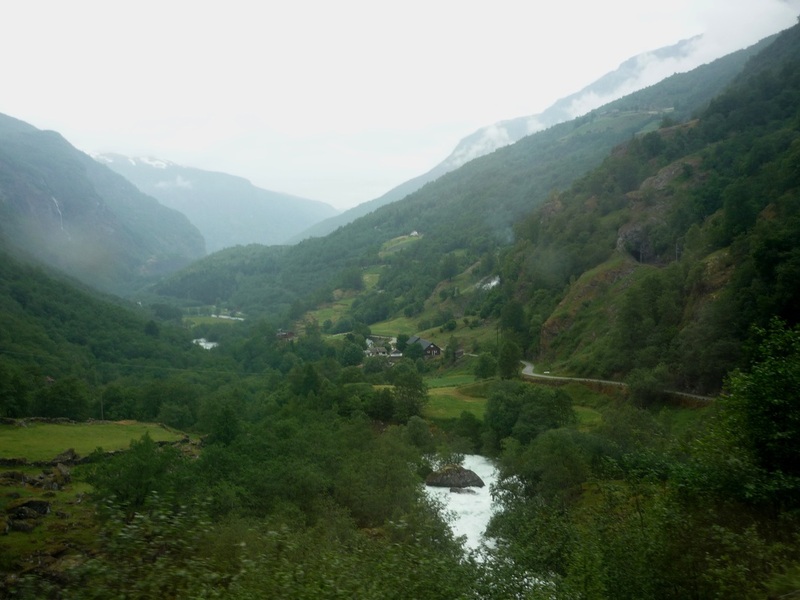 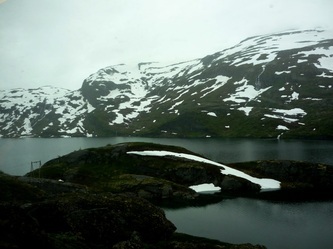 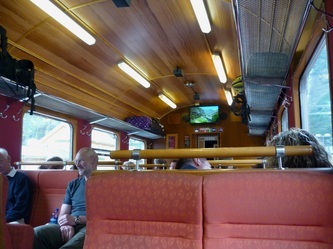 After a night at the Kviknes and the buffet, AlteCocker took the ferry to Flam and connected with the Flam cog railroad that goes up the mountain to Myrdal. 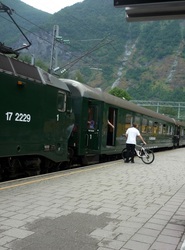 AlteCocker then made a connection to the Oslo train. 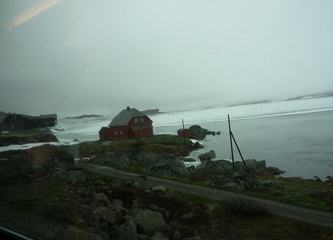 The train goes through Norway's highest train station at Finse. Finse is the highest train station in the entire Norwegian system. 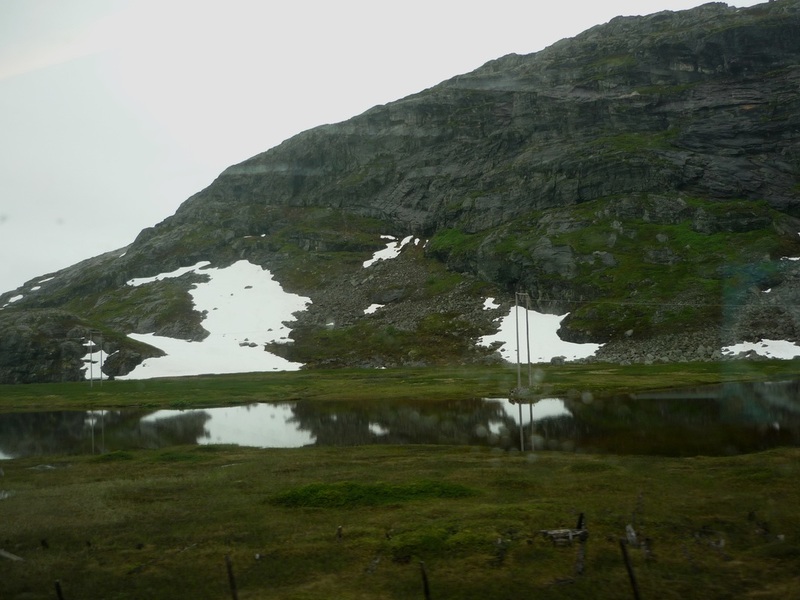 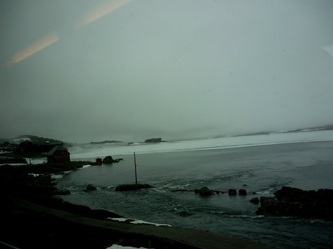 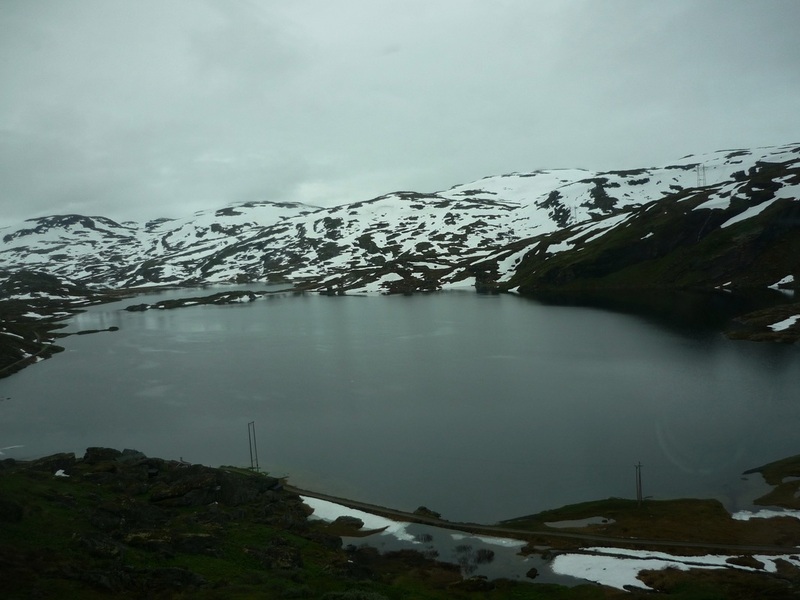 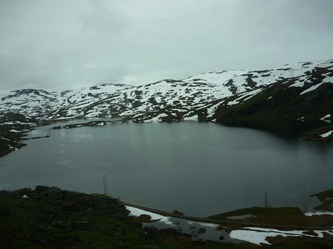 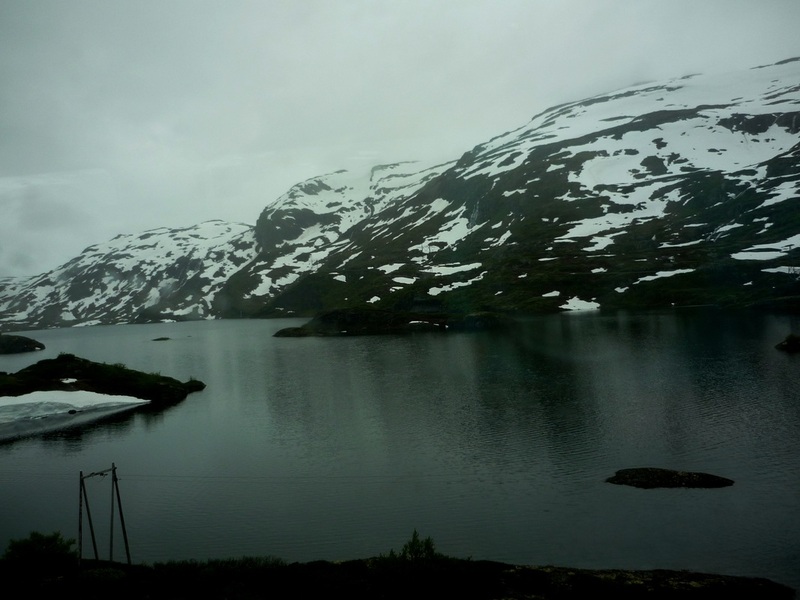 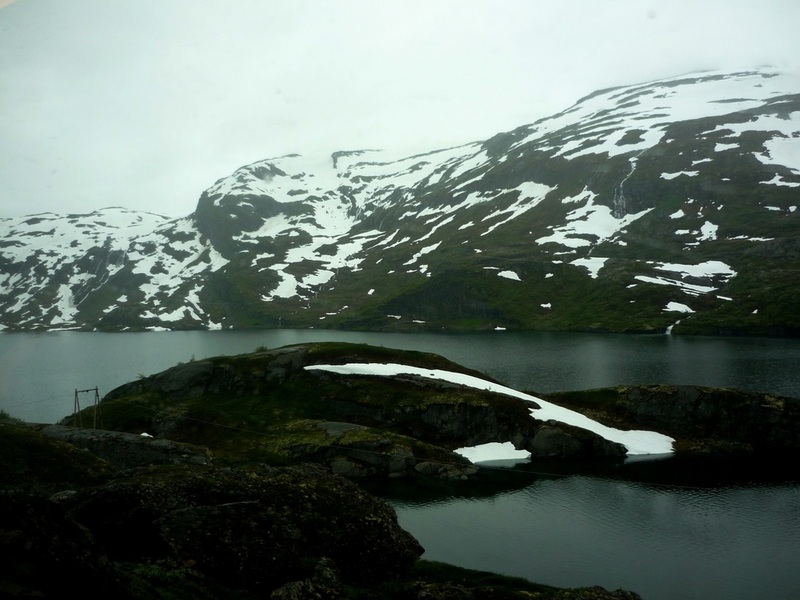 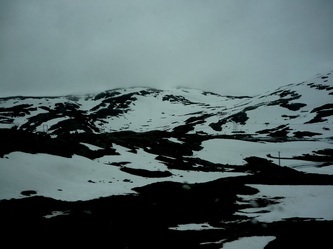 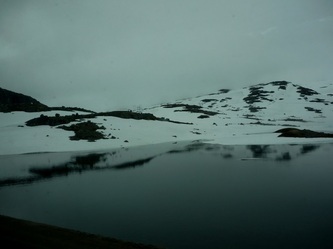 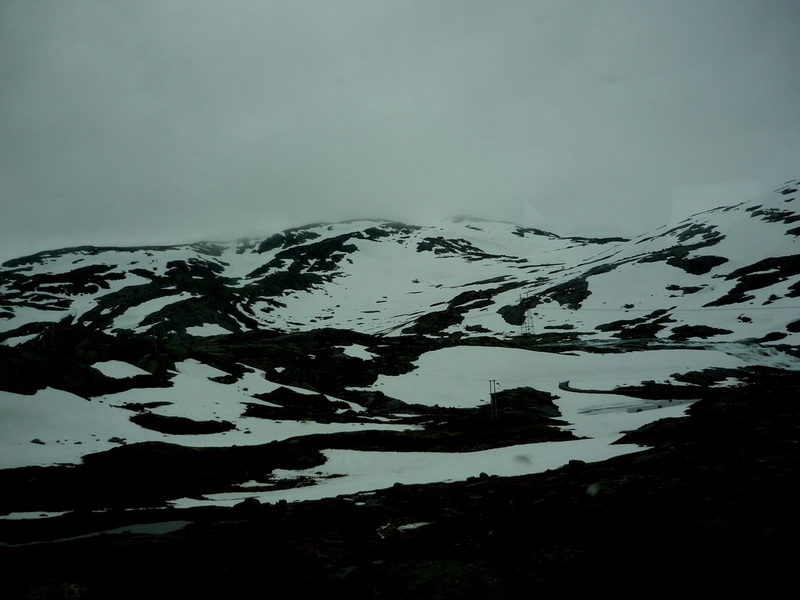 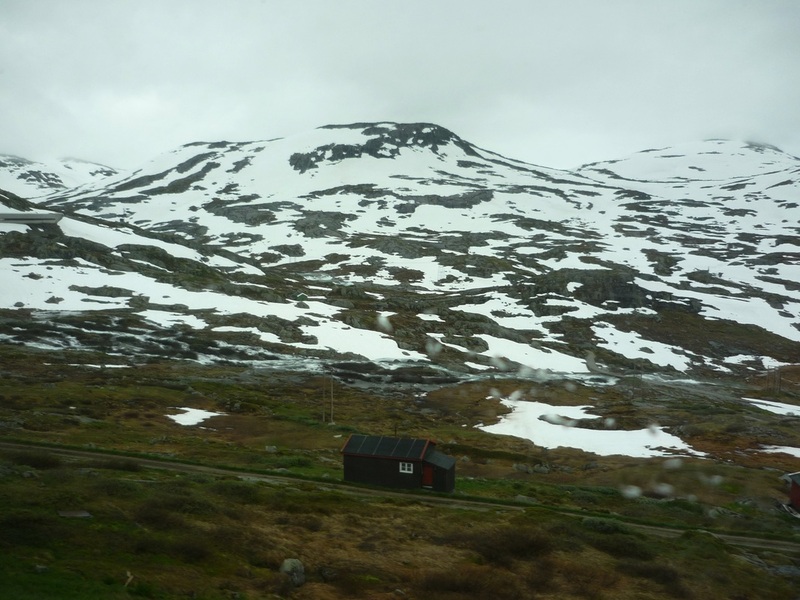 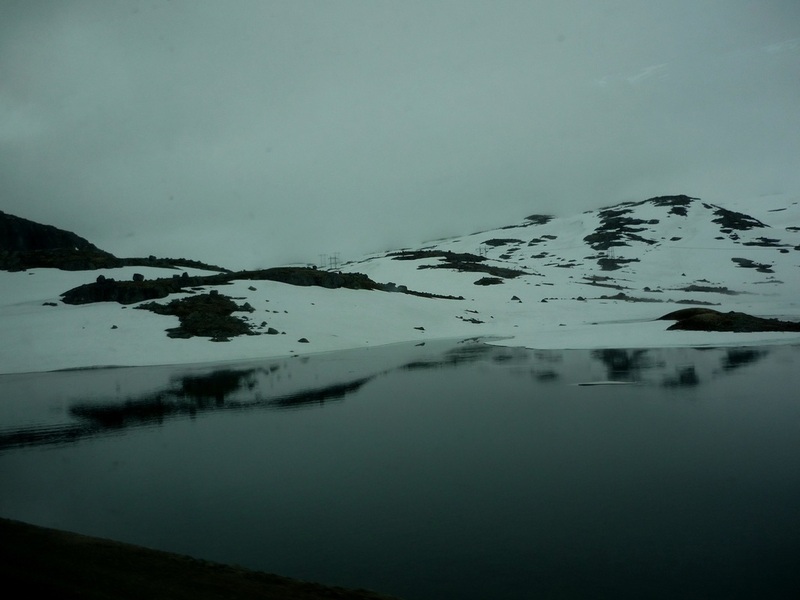 There are no roads into Finse so the train is the only link for both people and freight. In the summer, however, it is possible to cycle to Finse and there were lots of bikes at the station. 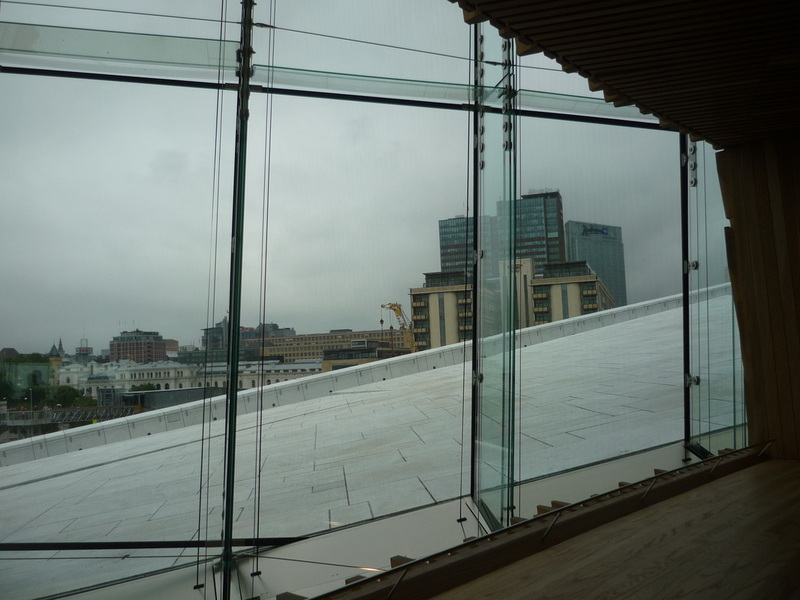 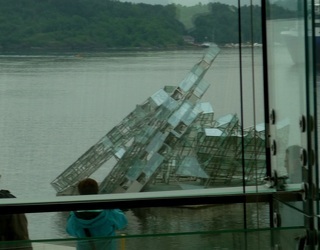 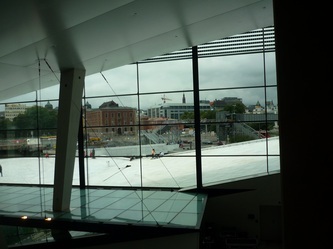 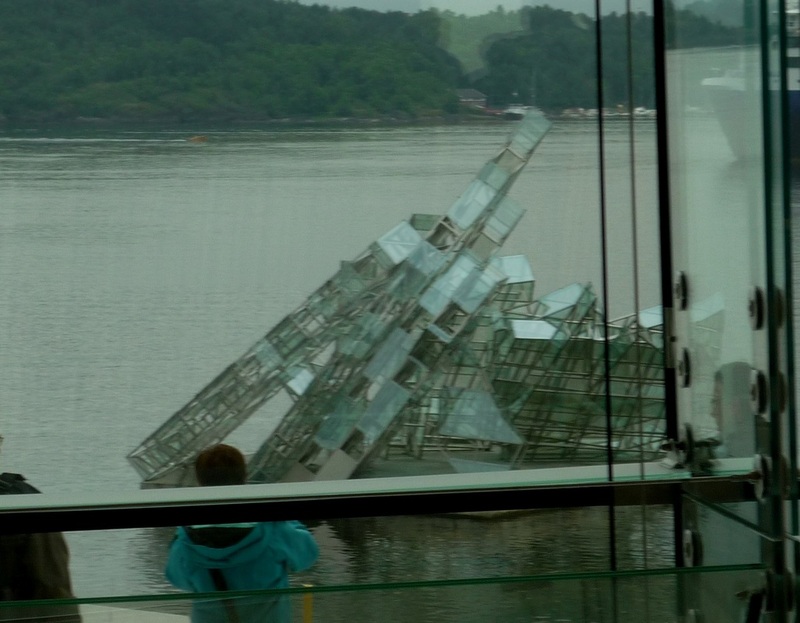 Unfortunately, the second day was heavily overcast with rain so the views were not ideal. 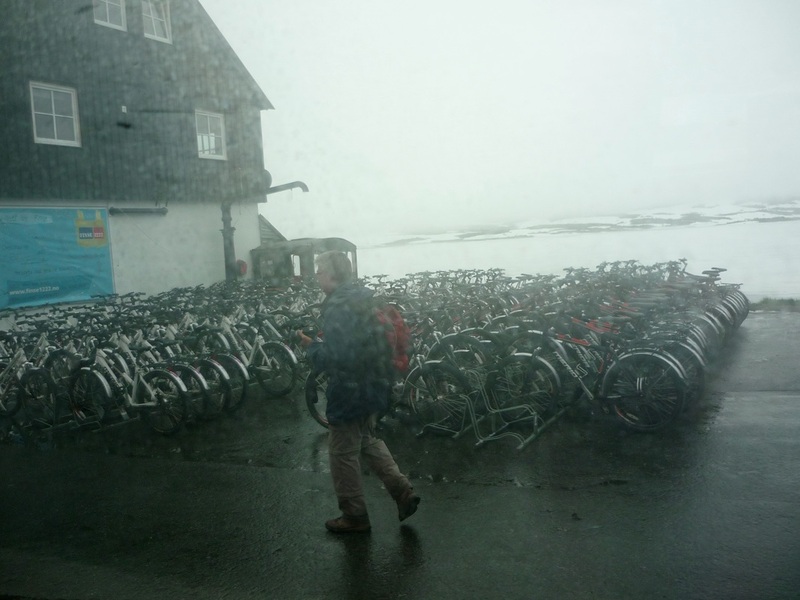 One can never guarantee the weather on vacation. 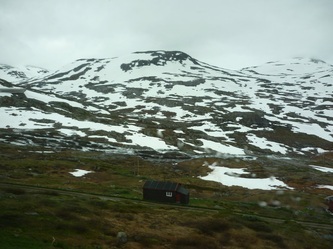 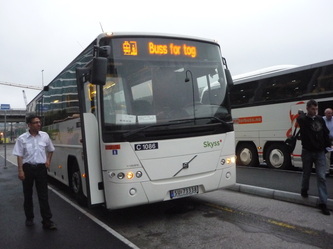 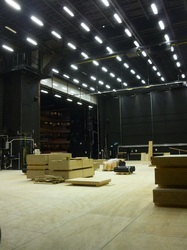 The train journey to Oslo was interrupted due to track work and had to be finished by bus. 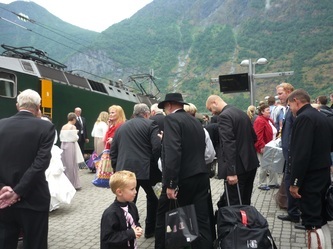 Everything was well organized, but AlteCocker did not get into Oslo until midnight. 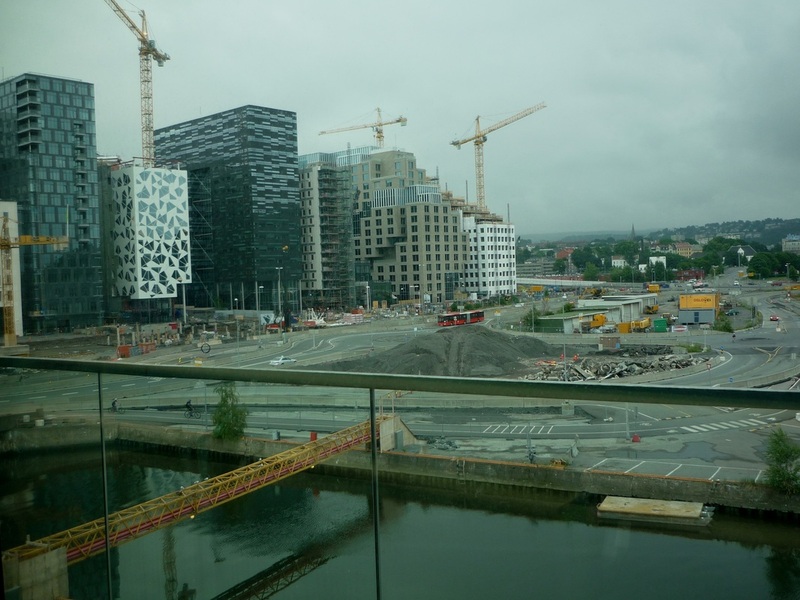 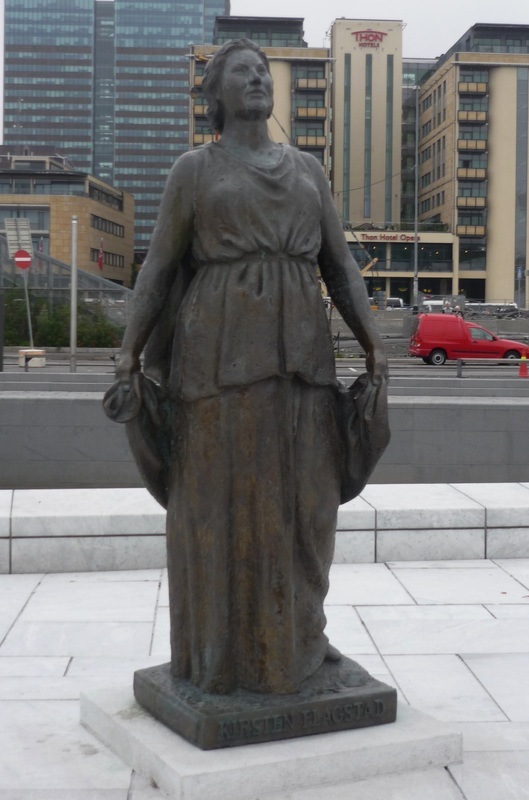 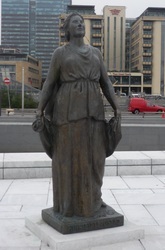 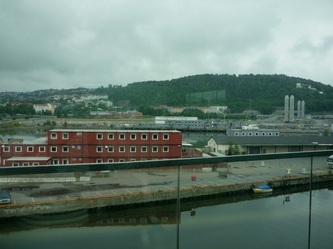 Proceeding to her home exchange home in Fredrikstad, Norway, was out of the question at that hour, so she spent the night at a hotel in Oslo. 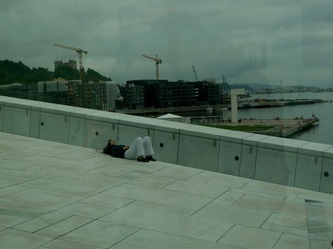 The next day she largely spent exploring the Opera House (You can walk on the roof, but sort of slippery; since AlteCocker did this trip with an unset broken left humerus, she passed on climbing the roof). 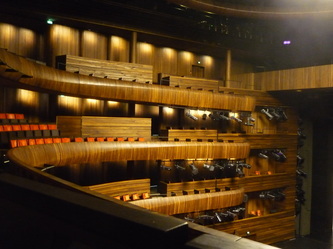 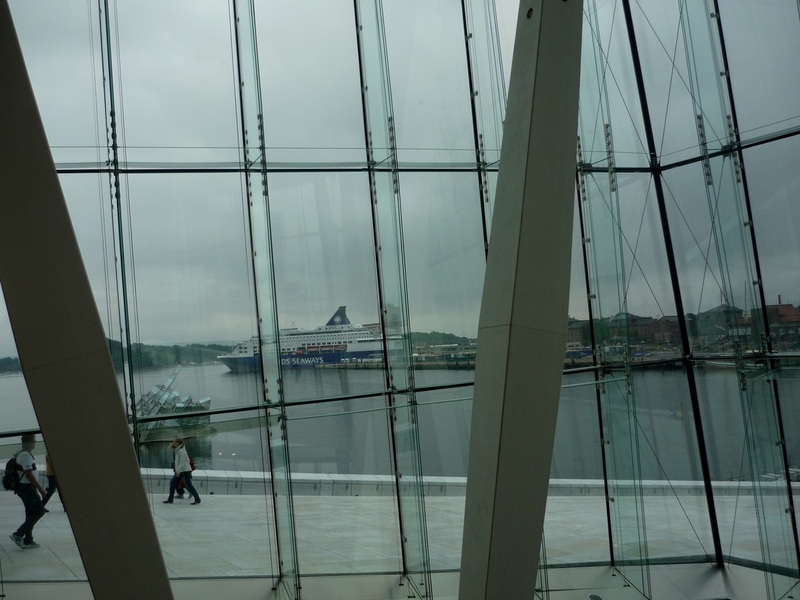 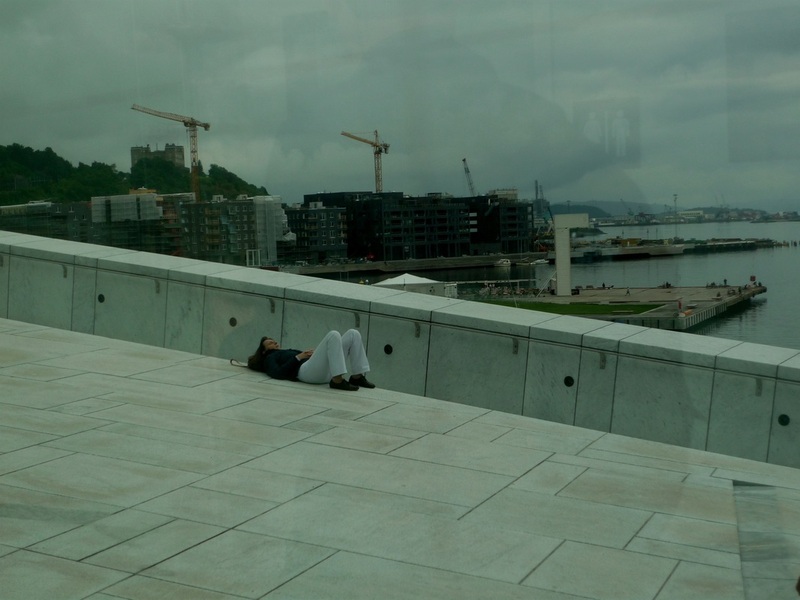 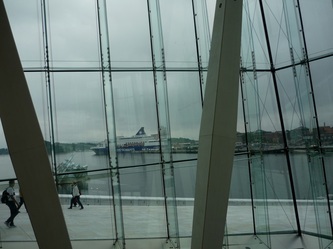 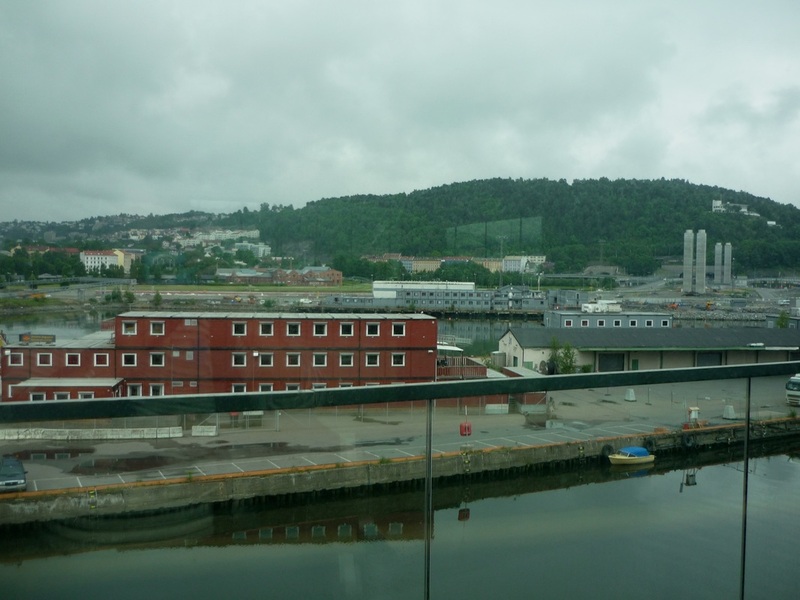 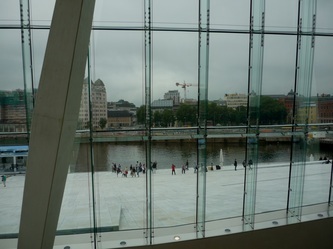 After spending the day in Oslo, she left and traveled by train to Fredrikstad to begin her home exchange (and save money on hotels and enormous buffets), but that will be another story.